Hello! 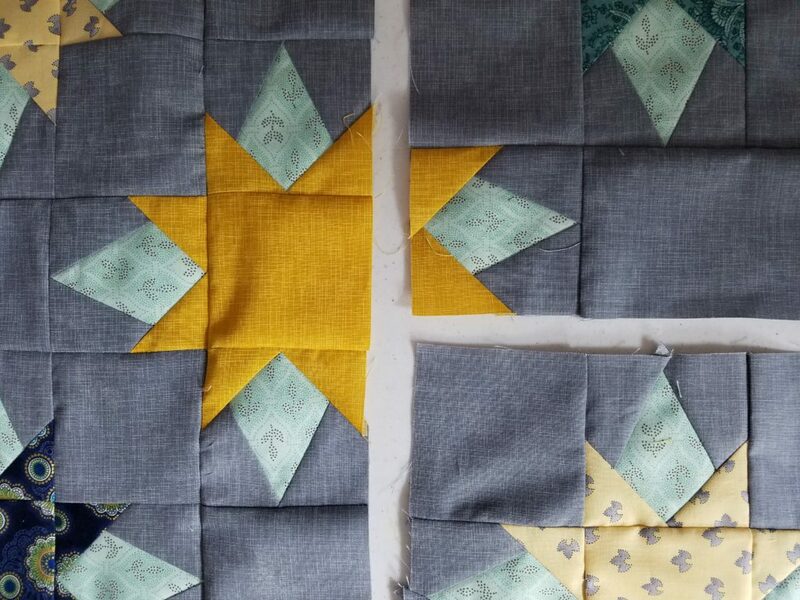 It has been a little while since I have made a post here, because I have been working on customer’s quilts. 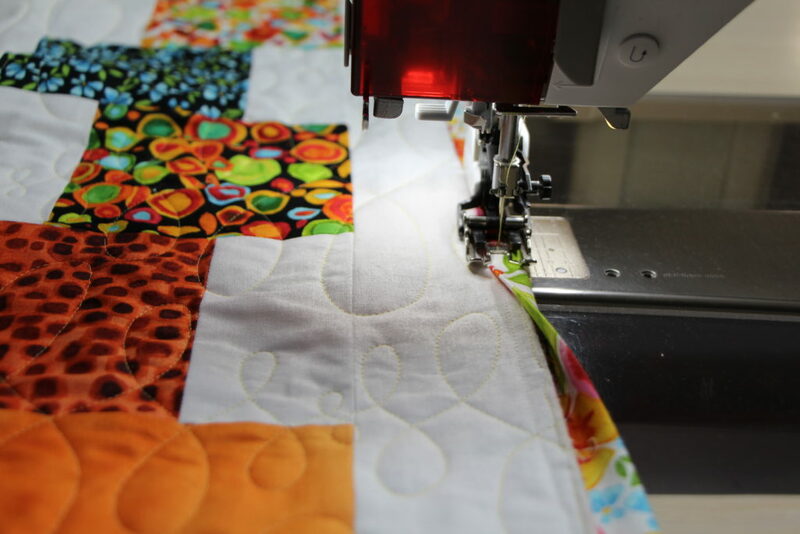 I really enjoy blogging and posting photos of all the beautiful quilts, but it does take time. 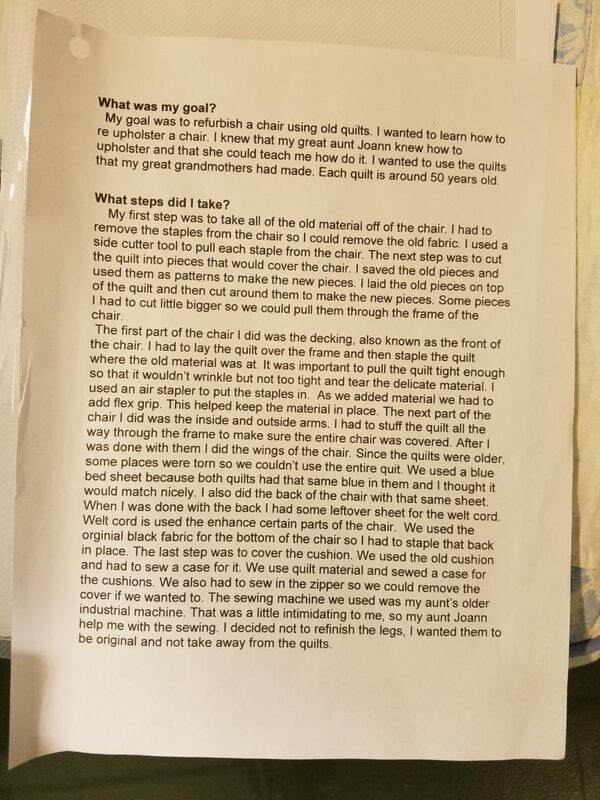 I have mentioned this before, the customers quilts come first. You can always catch my postings on Facebook as I post almost everyday what I am working on. Here are some of my recent customer quilts. Mary from Illinois, sent me these two. The first one she used snowman fabric and the inner blocks are appliquéd. 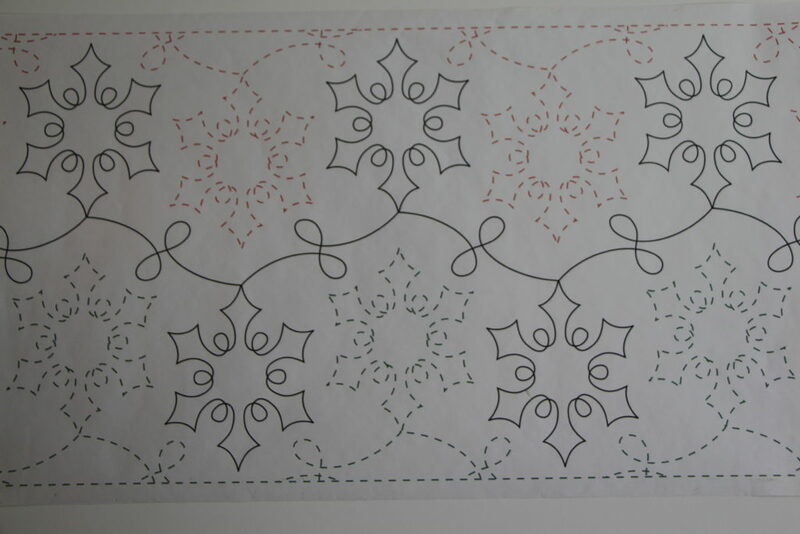 The pantograph is Snazzy Snowflakes and is very popular this time of the year. Here is the completed quilt! 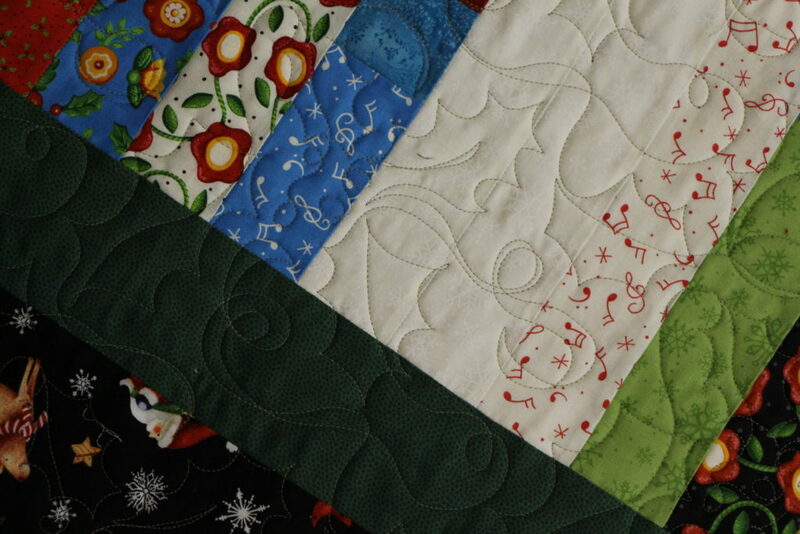 Mary’s next quilt is a Christmas theme using a jelly roll. 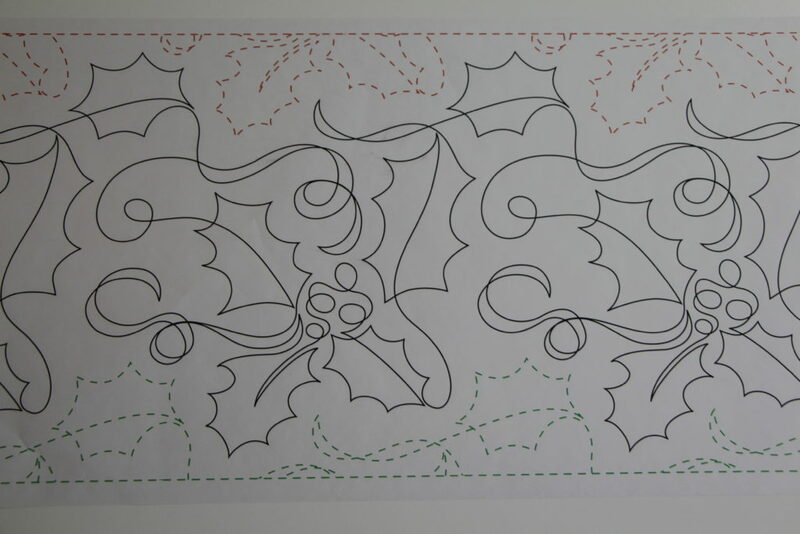 She choose the Ho Ho Holly pantograph for this one. The holly, berries and ribbons adds a lot of charm to any Christmas quilt.I was able to complete Mary’s quilts and have them in the mail to her with in two weeks. This has always been my goal, to complete the customer’s quilts with in this time frame. 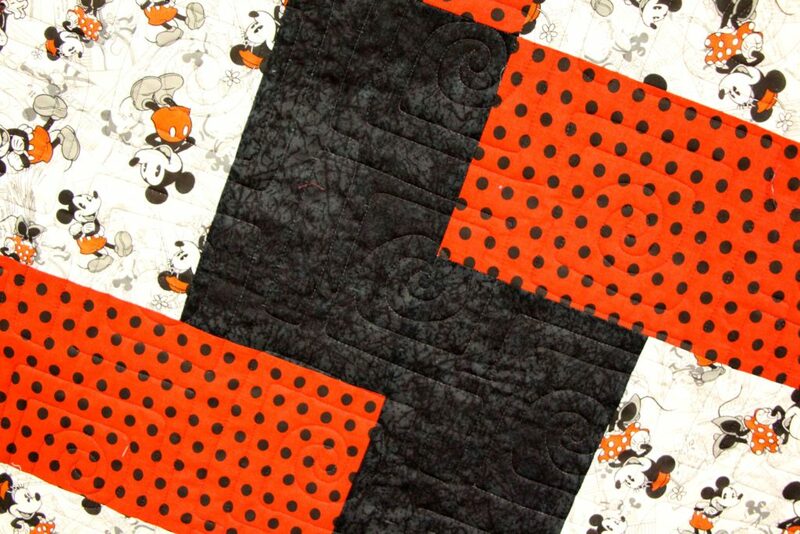 Melissa, brought me an adorable Micky Mouse quilt. Geometric Swirls was the pantograph for this one. She will be gifting it to their niece and nephew. 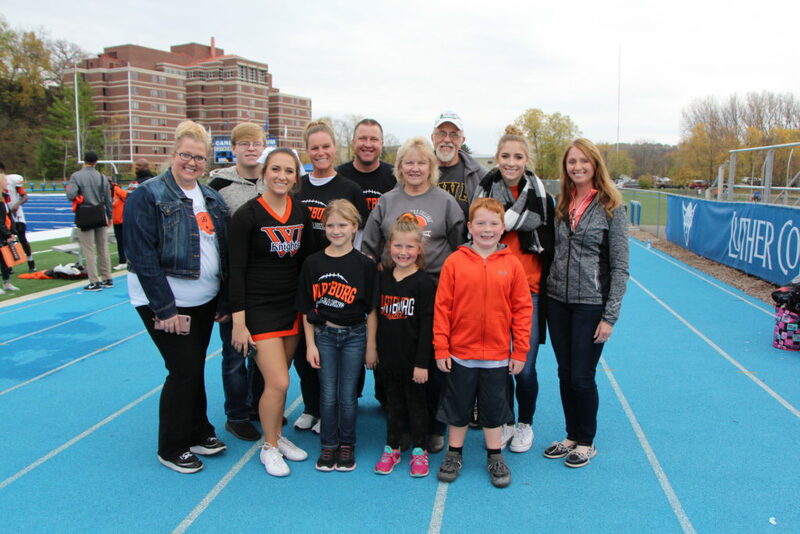 Here is a photo of our daughter, Noelle who cheers for Wartburg College Football with some of the family who came to watch her a few weeks ago. It was a great day having the family there! This entry was posted in Uncategorized on November 3, 2017 by Carla. 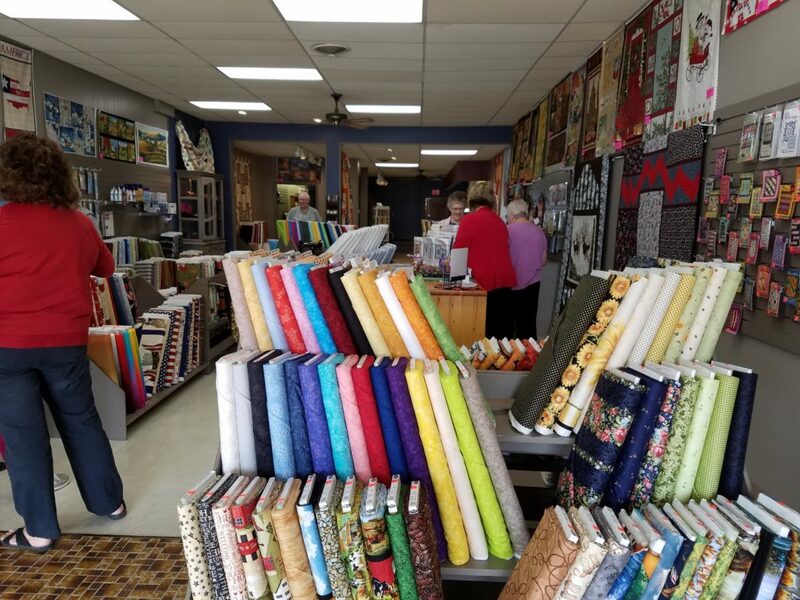 Last week I happened to be in New Hampton, IA on opening day of the new quilt shop, Addicted 2 Stitchen. I have done business in the past with the owner, Patrice Schwickerath Schilling, so I decided to stop in and say hello! Her shop was buzzing with lots of folks and I asked her if I could take a few photos. 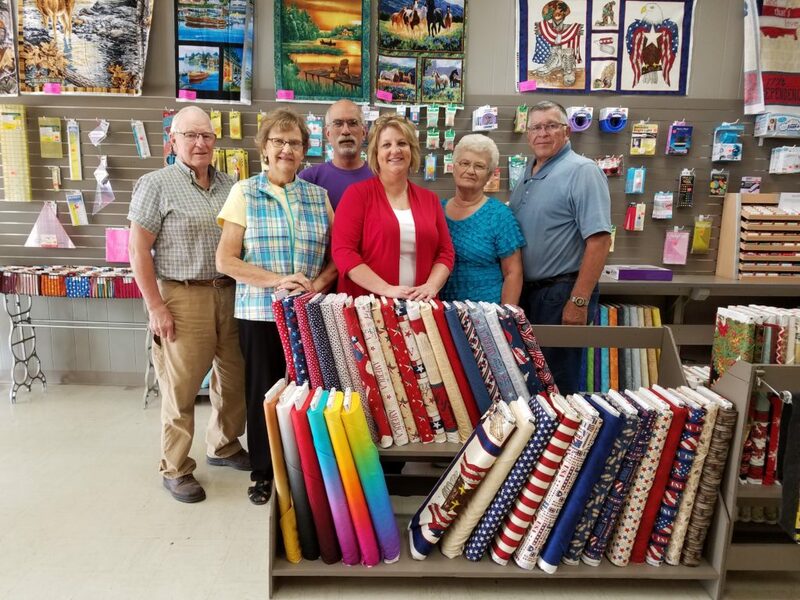 She said yes, and wanted to make sure that we included her family because of their hard work, dedication and support they have given her for this new business.The photo was taken in front of her americana fabrics because these are one of her favorite collections. I chatted with Patrice a bit in regards to how long she had been planning this. You see, this all happened very fast and it was one of those decisions in life that we just do without to much planning. 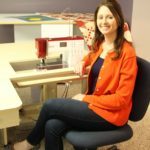 I sensed she opened her own business because of her love of sewing, it felt like it was the right time in her life and she had the encouragement of her family. Her family and friends have spent many long days and and many hours working to open up this shop as soon as they could. I was told, this gal at the cutting station did most of the painting and decorating and you can tell, buy the way it turned out, she is gifted in that area! Let me show you around the shop, so you can see what she all has! There is a nice assortment of notions, basting and stabilizer supplies and thread in any color you may need. The fabrics in the photo are tone on tone prints, stripes and some beautiful fall browns and greens. I am thinking they would make a pretty quilt for this time of the year. 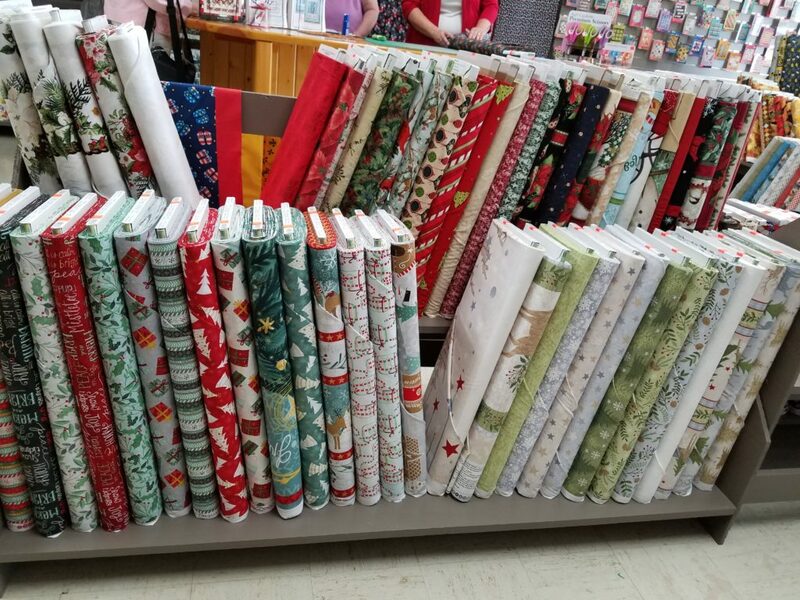 Here are her Christmas fabrics. Beautiful prints, large and small scale, modern and traditional, darks and lights. I saw there were also some panel fabrics to make a quilt or wall hanging with. This has been recent trend we are seeing more of so we can complete a project in a short amount of time. Another trend she has available here is Christmas prints or words on a black background. I know, that just seems wrong if you are a traditional quilter, but these fabrics have a modern feel to them and really are beautiful when incorporated with other fabrics. In this photo you can see how the shop is laid out and the size of it, I am standing at the front looking to the back. Patrice has a lot of ideas as far as what she will be adding to the store. Her priority at this time was to get the doors open, so every time you visit she will have new fabric and notions for you. This area is the back of the store where she will have classes in the future. 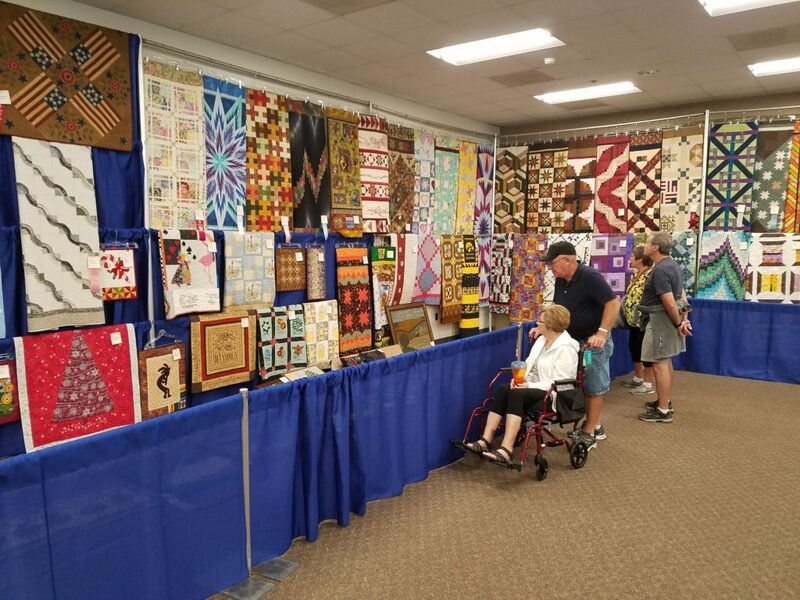 She has a couple of beautiful quilts displayed, patterns and supplies to make a hexagon quilt if that is on your bucket list. Look what else she has, tractor panels and fabric. Here in northeast Iowa we have many tractors for function in our farming communities and we have many restored old tractors. Here you can pick your color for your favorite tractor owner and make then a quilt. Our family has two restored Oliver tractors at our home and on the farm they have New Holland, but she also has colors for the orange and red owners too! 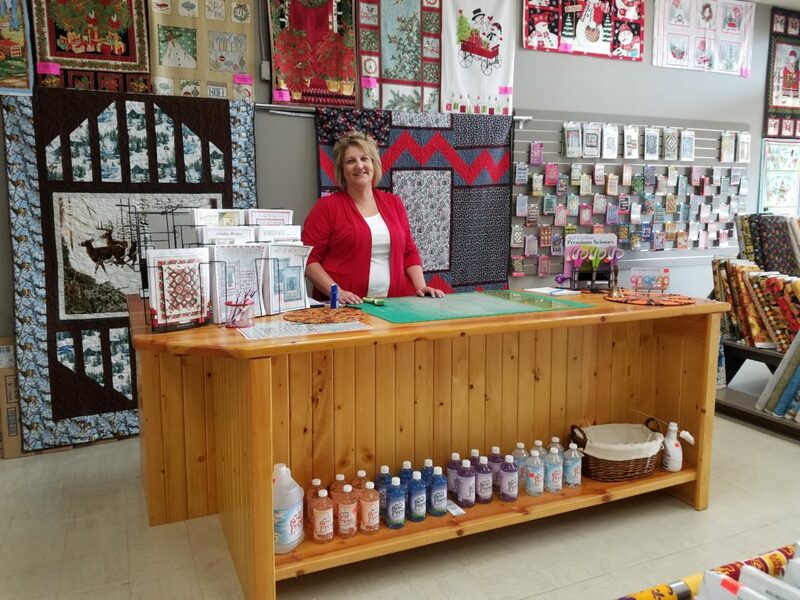 So if you are looking to visit a new quilt shop, or passing through New Hampton, Iowa, be sure to stop in and say Hi to Patrice. She would love to help you find what you are looking for. 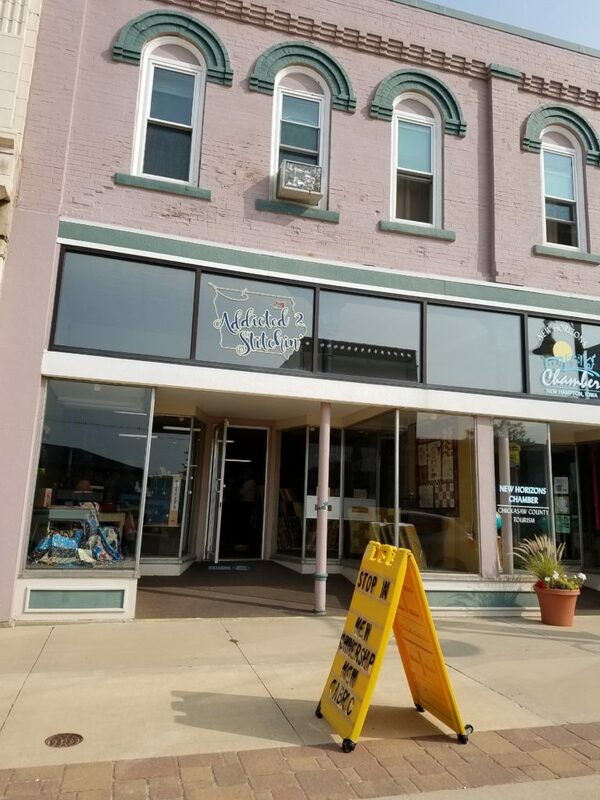 The shop is located at 17 West Main street and if you have any questions, contact Patrice on her Facebook page! This entry was posted in Uncategorized on September 7, 2017 by Carla. Here in the midwest it is apple time! Many folks around here have their own apple trees and are busy making pies, crisp, sauce, butter and so on. We are also giving our extra apples away so they don’t go to waste, usually to family, friends and neighbors. At our place we have 2 trees, golden delicious and cortland and some years yield better than others depending on the weather. This year the cortland is doing better than the other one, we will see what happens next year! 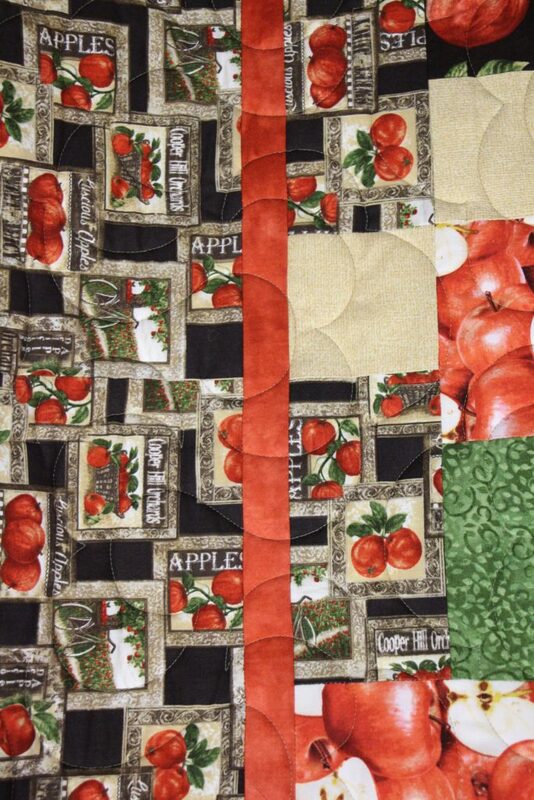 So what about an apple quilt, that is what we are calling Jolene’s latest one! Jolene and her family were invited to a family wedding that was to be held at an apple orchard. Her initial plan was to make the couple a quilt using their wedding colors, but she was unable to find something she liked. A friend of hers suggested making a quilt with an apple theme and she thought this was a great idea! 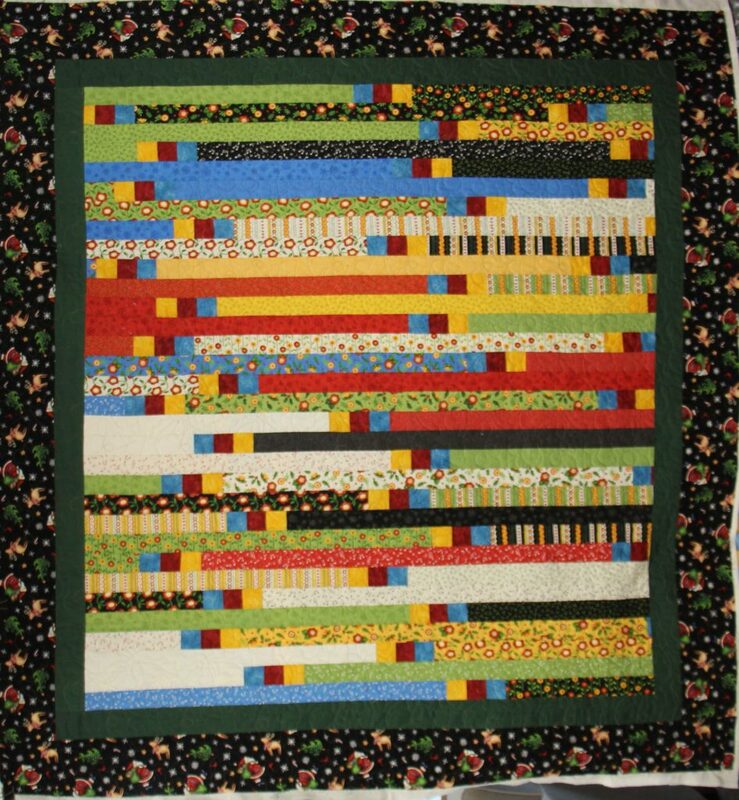 She used the “Yellow Brick Road” pattern because it creates a beautiful quilt in a short amount of time. 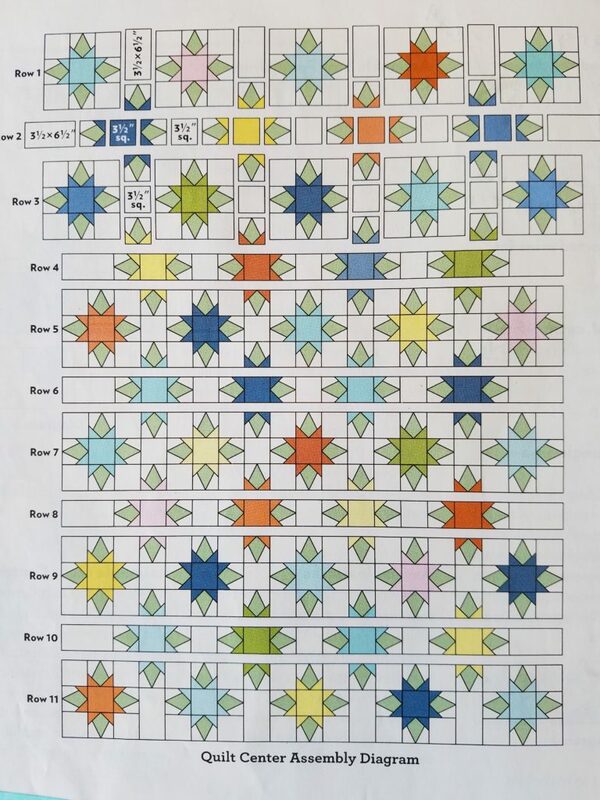 Jolene and many other quilters around here know this pattern well and when you are short on time this is a great go to pattern. 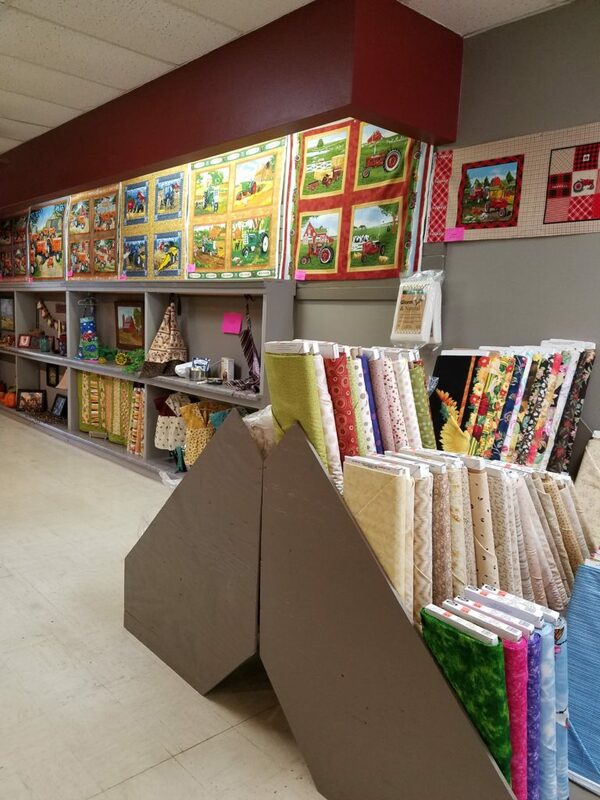 All of the fabrics she used were found at Quilter’s Garden in Cresco, Ia, Jolene works in this town so it is very convenient for her. She said, The owner, Katie was “super helpful” in working with with me in the fabric selection. 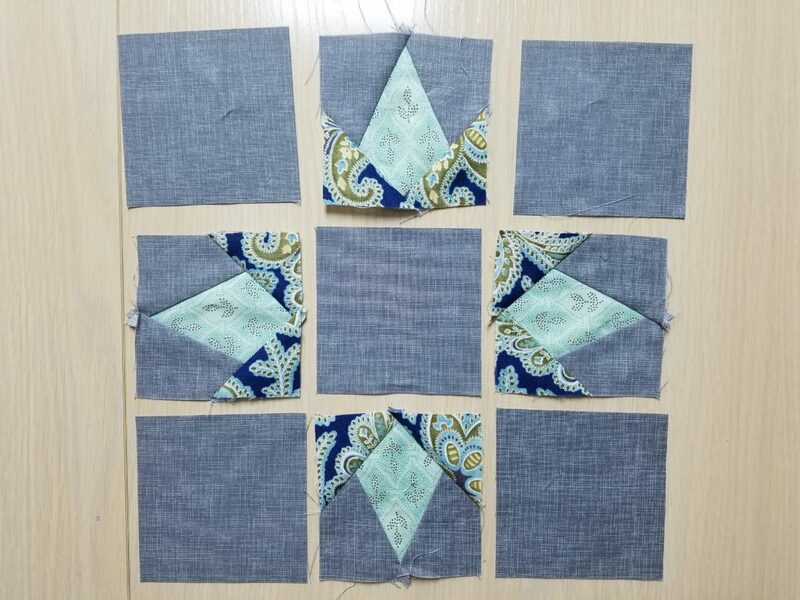 I personally like the inner red border Jolene chose to frame to inner quilt from the border, she is able to notice a need for changes to a quilt pattern based of the fabrics used. She also liked that the blocks in this pattern are large enough to show off the words and the prints in the fabric she choose. If the quilt was made with smaller pieces you would not be able to see this. 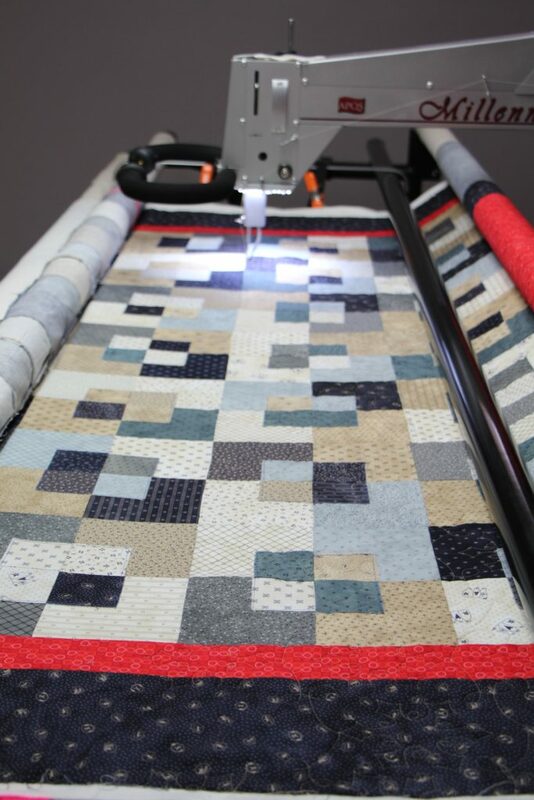 Jolene picked out the pantograph Fluffy and a cream thread for the quilting as she felt the quilt was busy enough with the prints and words, I agree. Here on the backing that matches the front fabric, you can see the quilting. 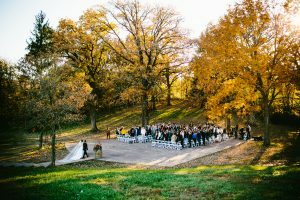 They attended the wedding that was held at the Rapid Creekevent center near the Wilson’s Orchard, located near Iowa City, IA, which they said both are very beautiful. Jolene works full time at an office along with operating their farm. She enjoys gardening, sewing and reading in her spare time. She has been quilting for about ten years and finds it very relaxing after working all day especially during our midwest winters. 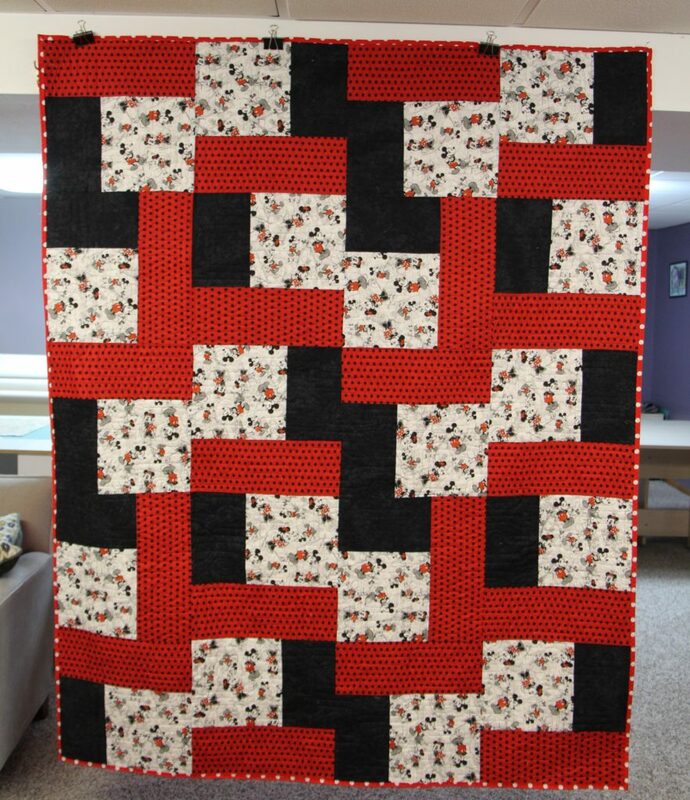 This quilt is a wonderful gift for her husband’s nice and her new husband! This entry was posted in Uncategorized on September 1, 2017 by Carla. During our visit at the Iowa State Fair we stopped to chat with Janice, who owns Sassy Stitches. We have been in contact with her since the American Girl doll became popular. She designs her own patterns, creates outfits and then sews them for the dolls. Our daughter Gene Anne has two American Girl dolls, which have since been stored away. Our other daughters had mainly Barbies with a few other types of dolls because the American Girl dolls became popular when they were older. All 3 of the girls took care of their dolls, with the exception of maybe one or two Barbie hair cuts! We went through many Barbie outfits, shoes, cars and accessories, but I feel we did not over do it with our purchases. Our concern with the American Girl dolls is that the doll and all the other items you can purchase to go with them are significantly more costly, this is how we came to know Janice. 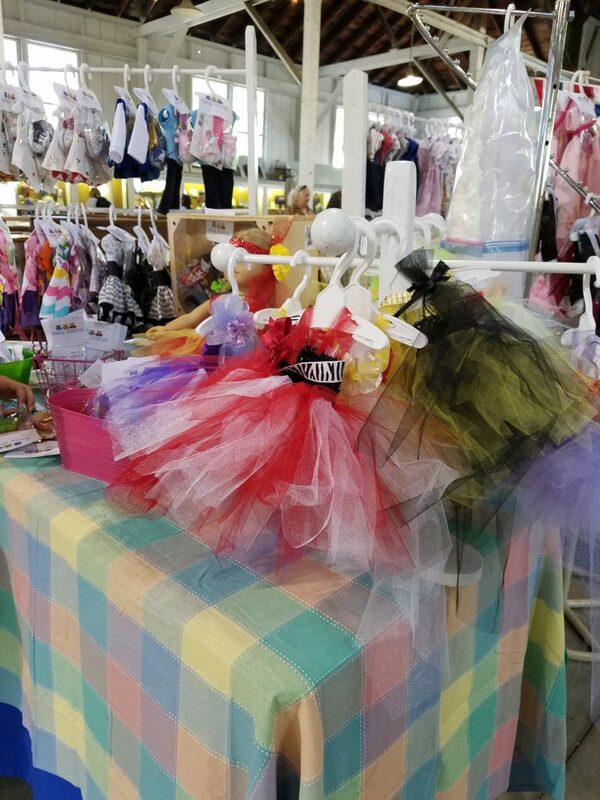 Janice created her company, Sassy Stitches, years ago in which she sews and sells doll clothes, matching outfits for your special girl and doll, accessories and furniture! 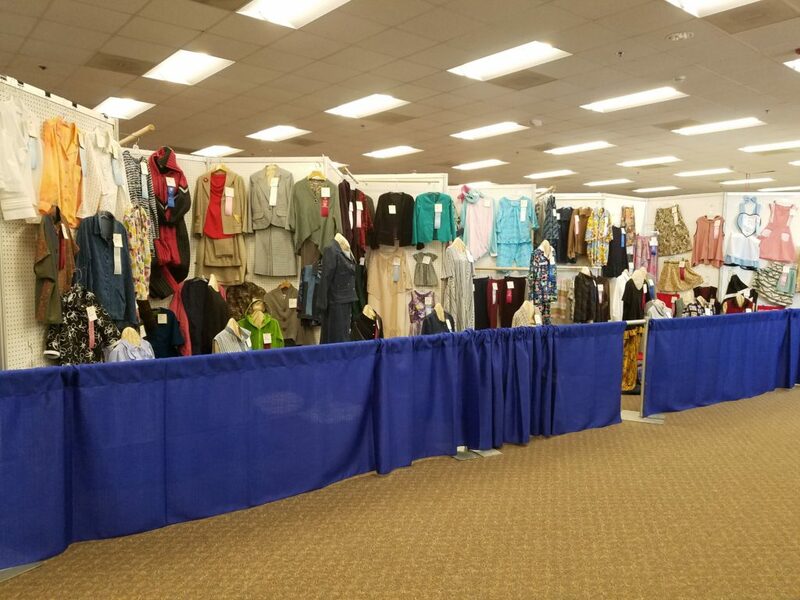 She has everything from dresses, pajamas, shoes, necklaces, hats, sleeping bags, garment bags, beds, bunk beds, racks, armoires, etc. She also provides private and group sewing lessons, tea parties ($8/per child) and ladies night out! Tea parties include treat seats, cups and saucers just for dolls to use during your party. She is located near Des Moines, IA so we have not been able to go there, but we for sure find her at the fair. Gene Anne and her became buddies as Janice remembered her from year to year and Gene Anne was able to get one or two outfits from her. 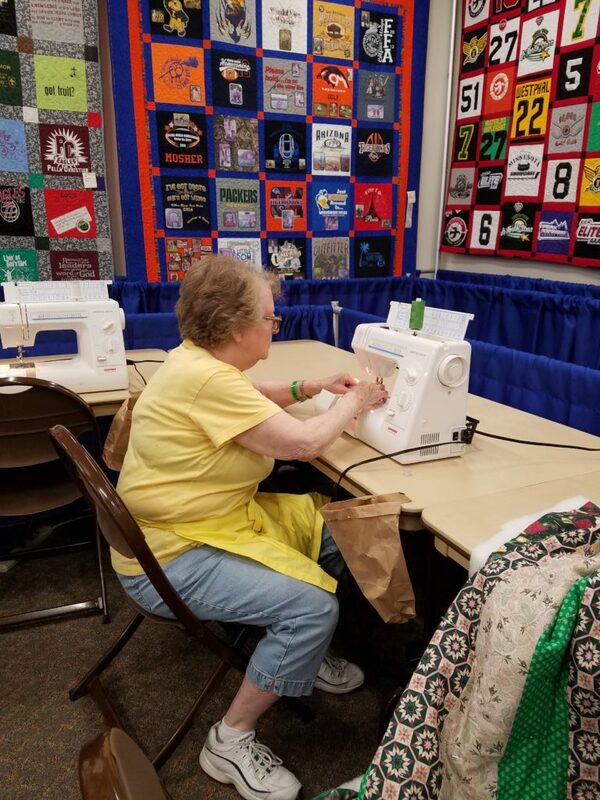 The clothes are sewn on Janice’s regular sewing machine at home, but at the fair, she is exhibiting under the heritage requirements in Pioneer Hall and sews on her treadle machine. If you look close at the top photo you can see it and I should have asked her about it, but I forgot. 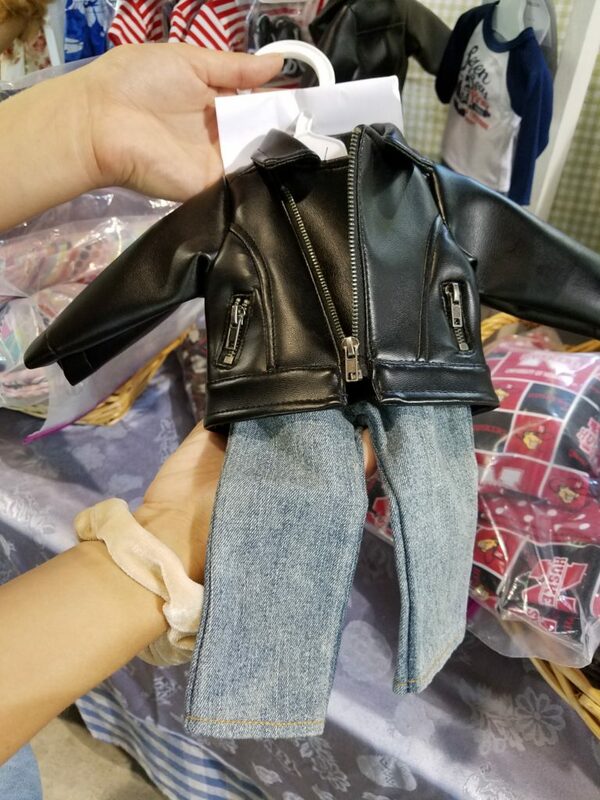 The doll clothes she makes come complete with shoes and often a hat, jewelry or other accessories. They are all beautifully constructed and displayed. Here is a dress she made displayed on a doll. Along with many other color options in the same style. Here is another sweet dress. Also this leather jacket and jean outfit was awesome! 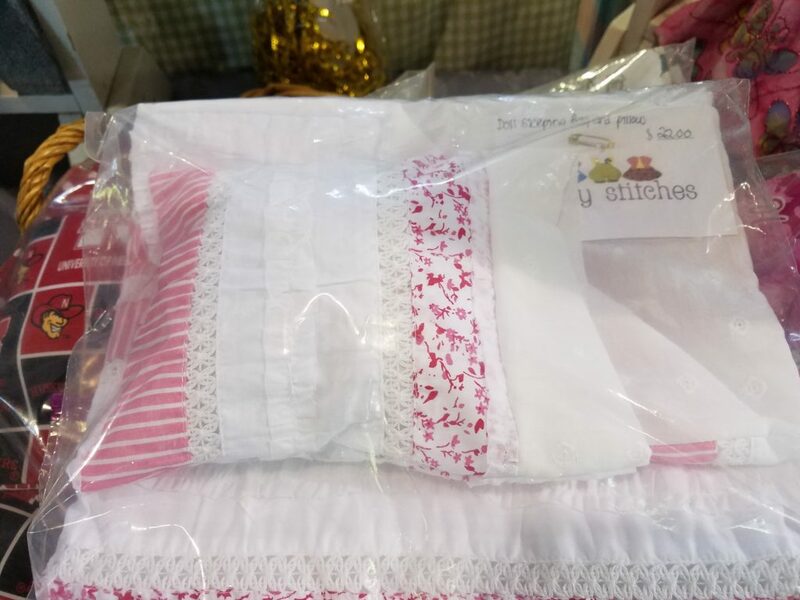 Does your doll need some matching bedding and a pillow? Well, Janice can make that too, how pretty. Throughout the years we have ordered items from her that she posts on her page. 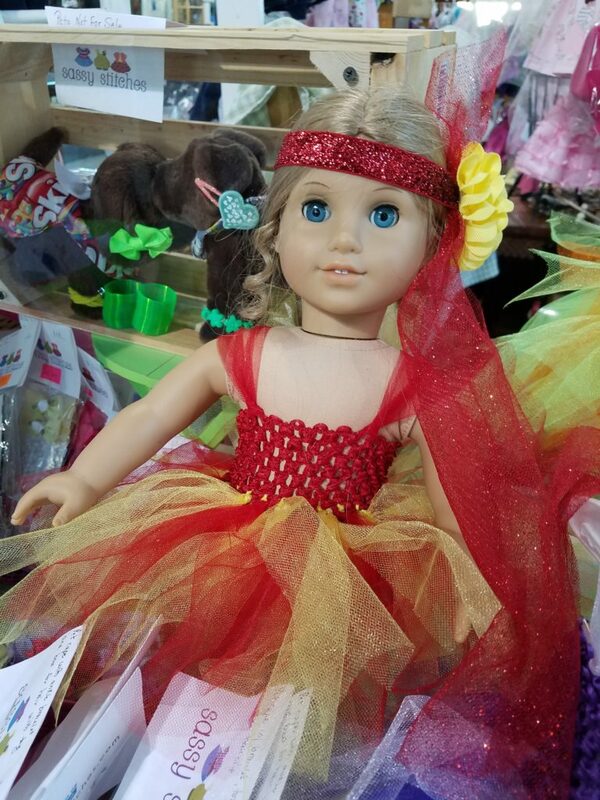 Beautiful Christmas outfits, gymnastic, dance, cheer, sports and any other activity your child is in, she can make a matching out fit for the doll. When Gene Anne was active in Girl Scouts, I sent Janice fabric and she made a skirt and vest for the doll that matched what Gene Anne wore. That was a big deal for her! So if you are wondering why we just didn’t order the clothes from American Girl, first of all, these are more cost effective. At the time and still today I feel that American Girl dolls and the items that go with them are over priced. 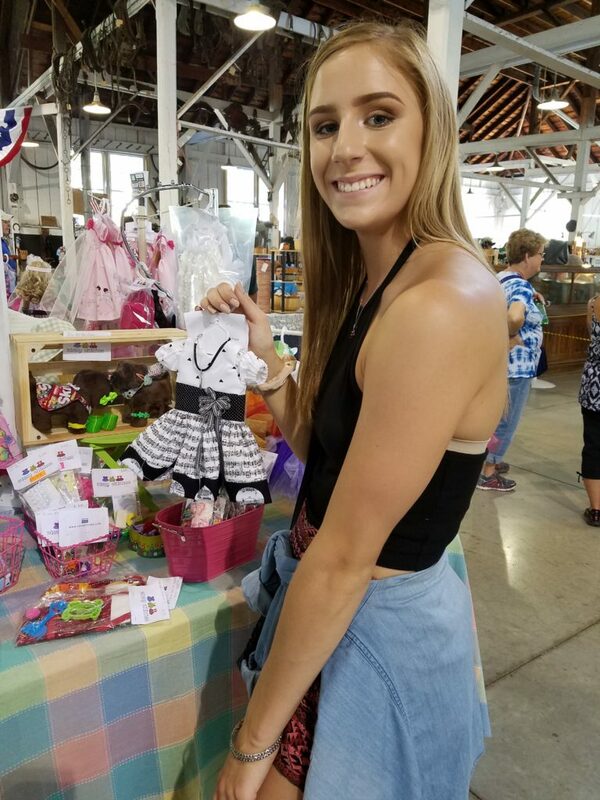 Secondly, how neat is it that you can buy directly from someone who sews the items and that your daughter makes a connection with that person. 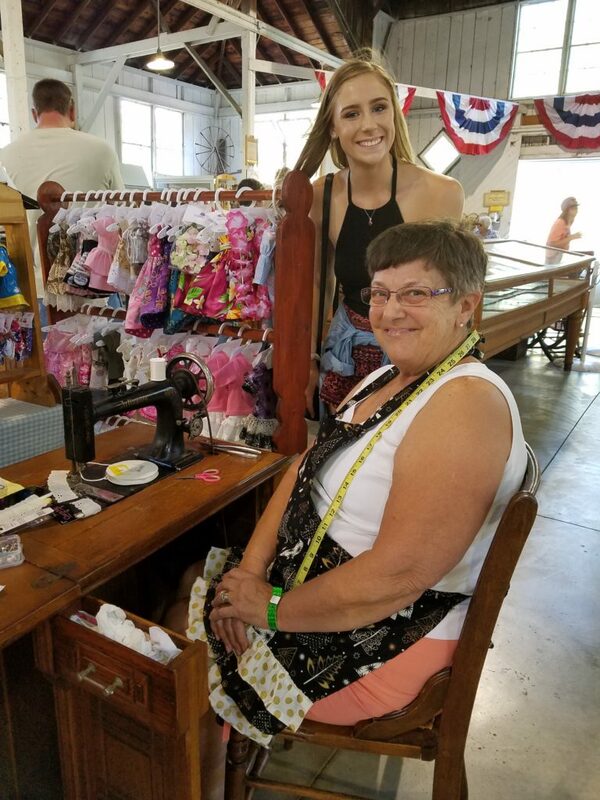 So even though Gene Anne has outgrown dolls, we still make a point to stop and visit with Janice when we are at the fair, she really is a great person! This entry was posted in Uncategorized on August 30, 2017 by Carla. 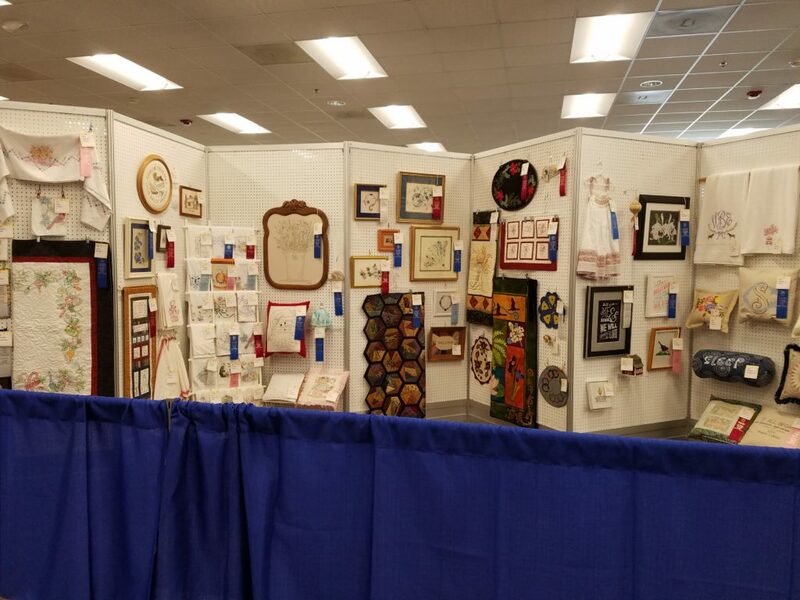 The Bruce L. Rastetter 4-H Exhibits building is another place at the fair where you will find projects of all kinds that our youth have entered. 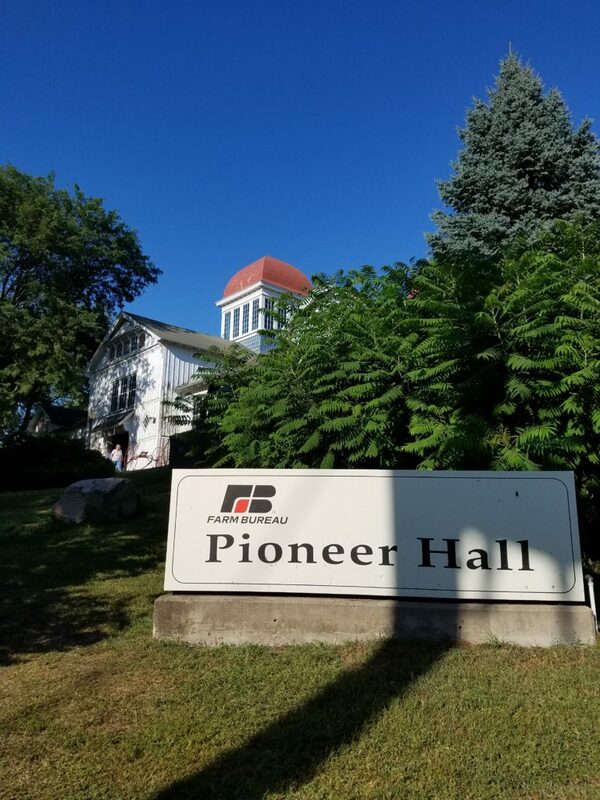 4‑H is delivered by Cooperative Extension—a community of more than 100 public universities across the nation that provides experiences where young people learn by doing. Kids complete hands-on projects in areas like health, science, agriculture and citizenship, in a positive environment where they receive guidance from adult mentors and are encouraged to take on proactive leadership roles. Kids experience 4‑H in every county and parish in the country—through in-school and after-school programs, school and community clubs and 4‑H camps. In Iowa, our 4-H organization is through Iowa State Extension. From there it extends to each county in which there may be a few or many different clubs. If you missed it, you can read about this in my past blog, Chickasaw County 4-H Fair. 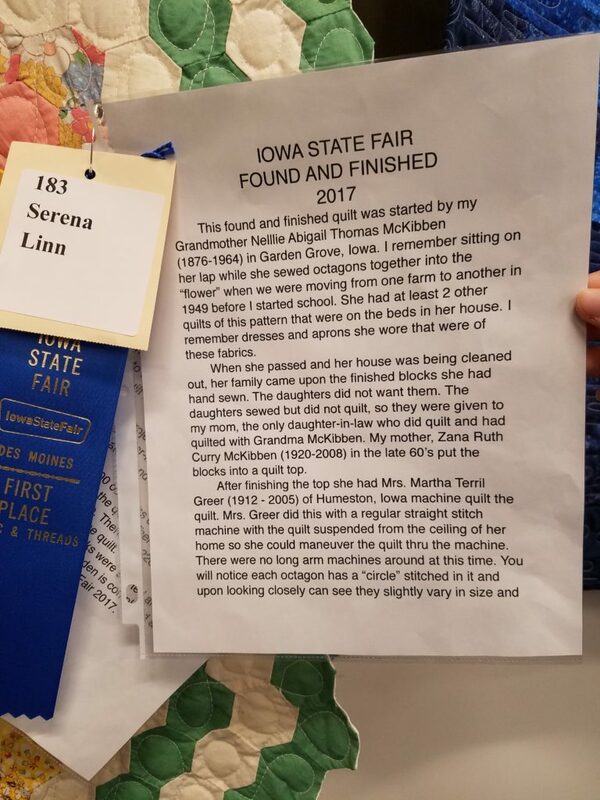 There were many quilts and I will show you some of those in another post, but for this one I have chosen two projects that I thought were interesting at the State Fair to tell you about. This first project caught my eye from across the building. 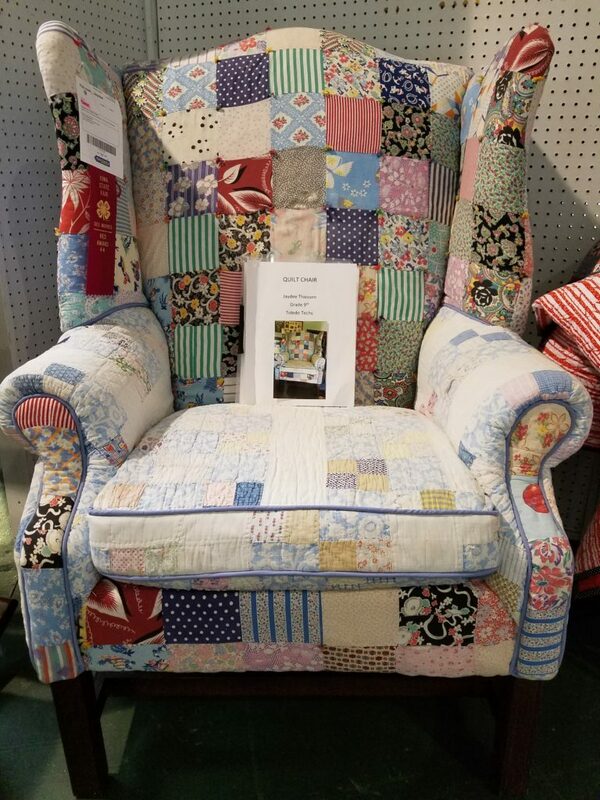 It is a chair that was reupholstered with quilts! I am sure some of you have seen this before, but I had not, so of course I was going to check this out. 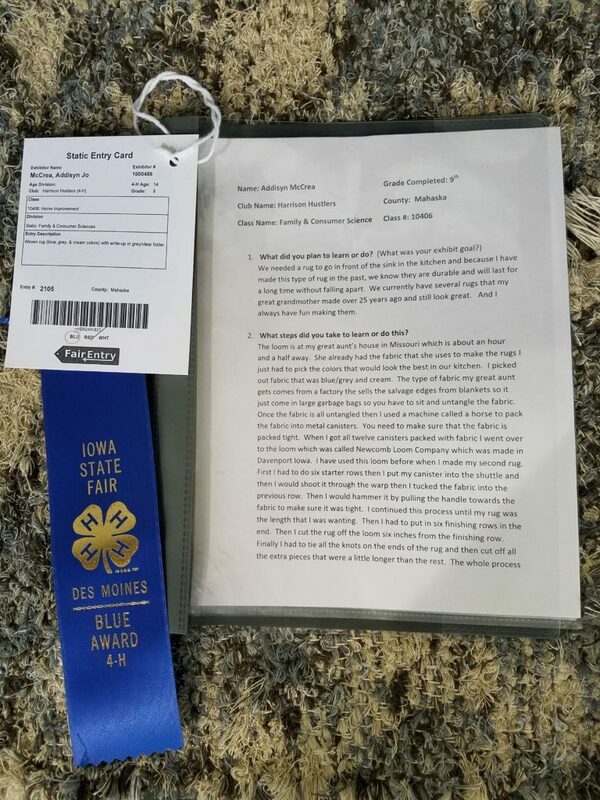 When a 4-H project is entered, a write-up must accompany it. It is recommended to explain how you completed this project step by step in detail, and to include photos, cost and sources. 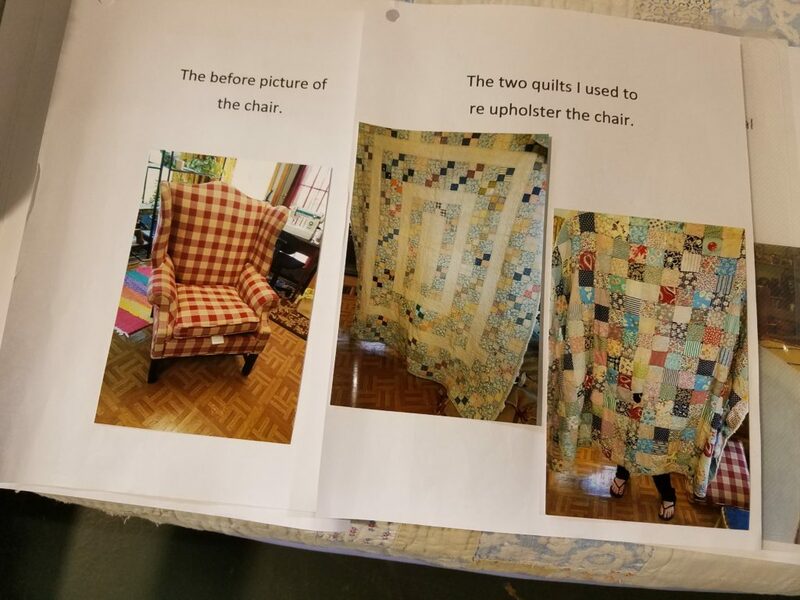 Here is one of the pages showing us the before photo of the chair and the quilts they used for reupholstering the chair. 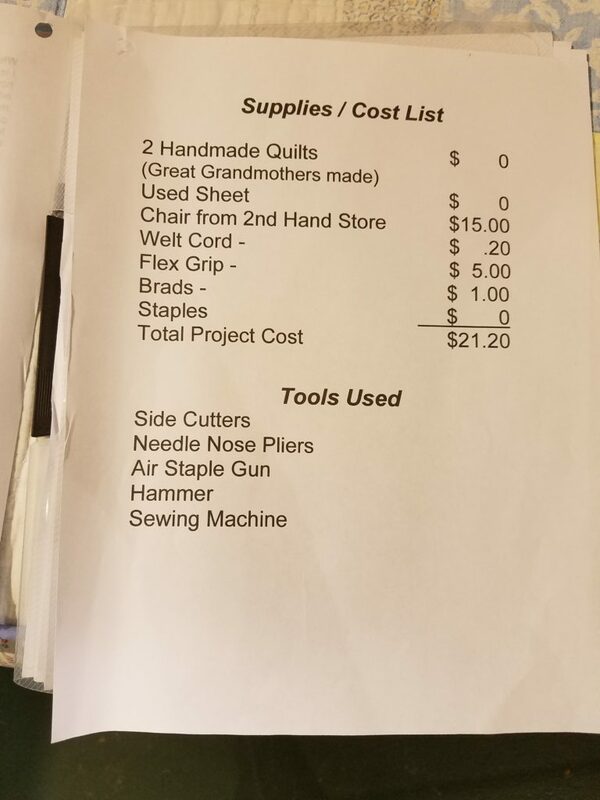 Another page shows the supply and cost list for the project. A large portion of the write up includes their goals of the project and how they went about completing it. 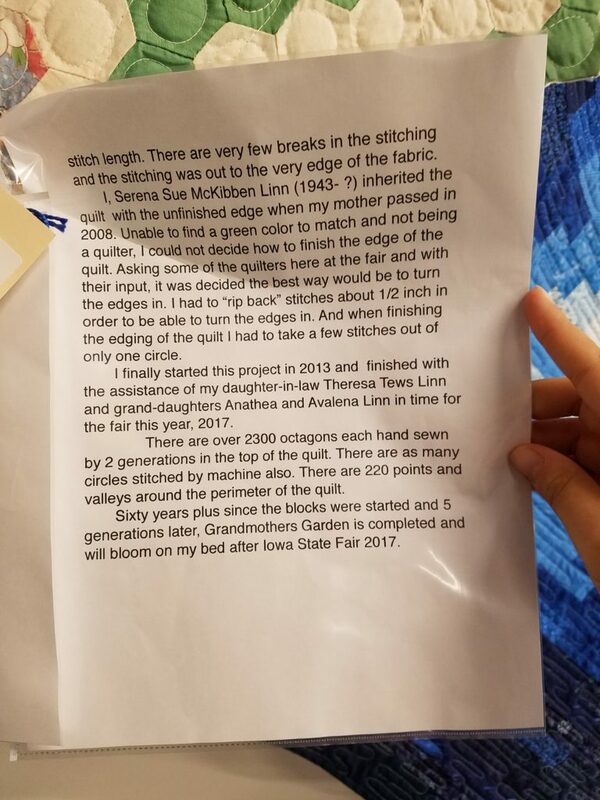 If you can read this you will see they used Great-Grandmother’s 50 year old quilts, now, some my gasp at this and some may feel this was a wonderful idea. I do like how Great Aunt Joann helps them with this project, to me it feels like their are passing on Great Grandmother’s work and Great Aunt Joann is passing on her knowledge and skills. If you look closely at the first chair photo, you will see this project received a red ribbon. Maybe the judge felt it was not done well enough, but I can appreciate the process and the story of this project. Another project, using fabric in a nontraditional way, was a rug. We do not have a loom, so we have never made any of our own rugs. I do remember as a child though, I would help my Mother cut up old worn out clothes into strips and then sew those strips together to make very long strips of fabric. Next as some of you know, we would roll those strips up into large balls. When she would have a large box of fabric balls we would take then to a lady who would make rag rugs for us. It may sound odd, but it was so exciting to go and pick up the rugs when she was done. When we came home we would open up each rug and ooh and aah about how pretty they were. I think it must have been a feeling of happiness to have the old clothes made into something pretty that we could use, even though the rugs were mostly blues, browns and blacks! 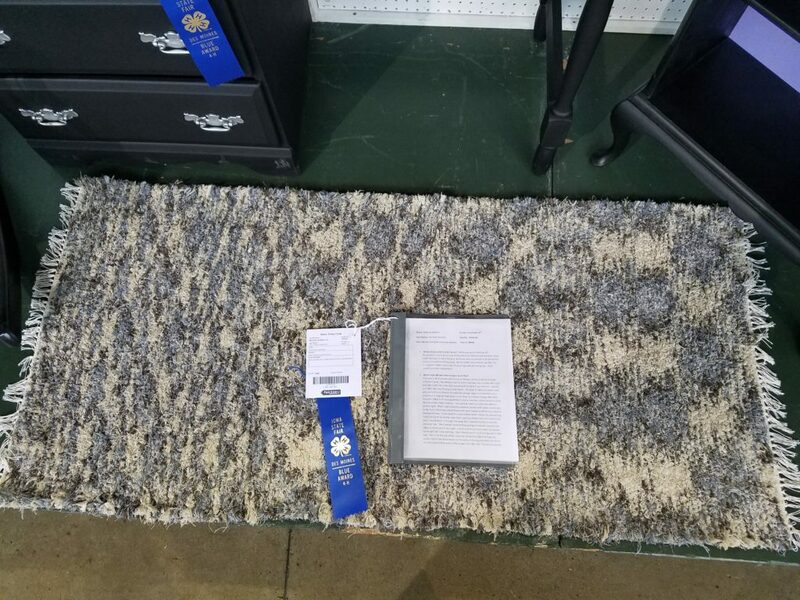 Here a photo of the rug I saw at the fair. I decided to take a closer look at this because of the color variations and how beautifully made it was. Here again a write up is included and photos of how they went about completing this project.Photos with captions are a wonderful way to explain to someone how you would go about making this. 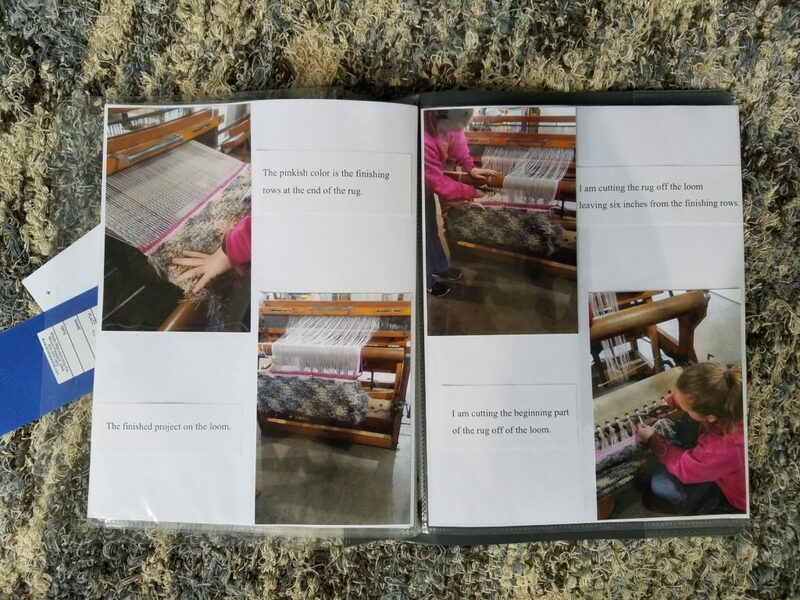 If you are able to read her story, she too talks about her Great Aunt who has the loom and helps her with making the rug. I also thought it was interesting that the fabric they use is purchased from a company that sells salvage edges from blankets. I was impressed with the details included in this write up. She clearly explains the process of how she did this and I found it interesting and educational. 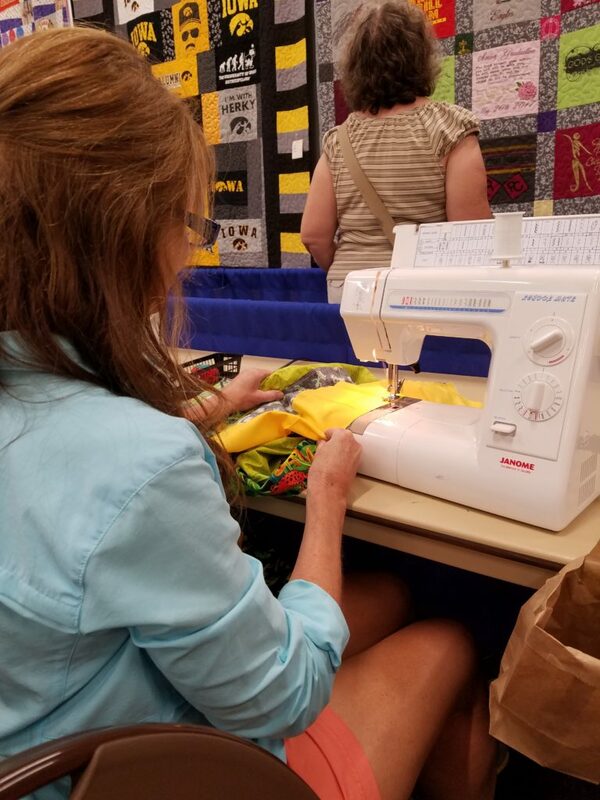 In my past blogs I have wrote about our generation of quilters and if we are doing all that we can to make sure we pass down our knowledge and talents. Even though these are only two projects, both were done with guidance from previous generations. I feel in these two separate families, there is hope that their talents will continue through to the next generation, as it will in ours. This entry was posted in Uncategorized on August 24, 2017 by Carla. 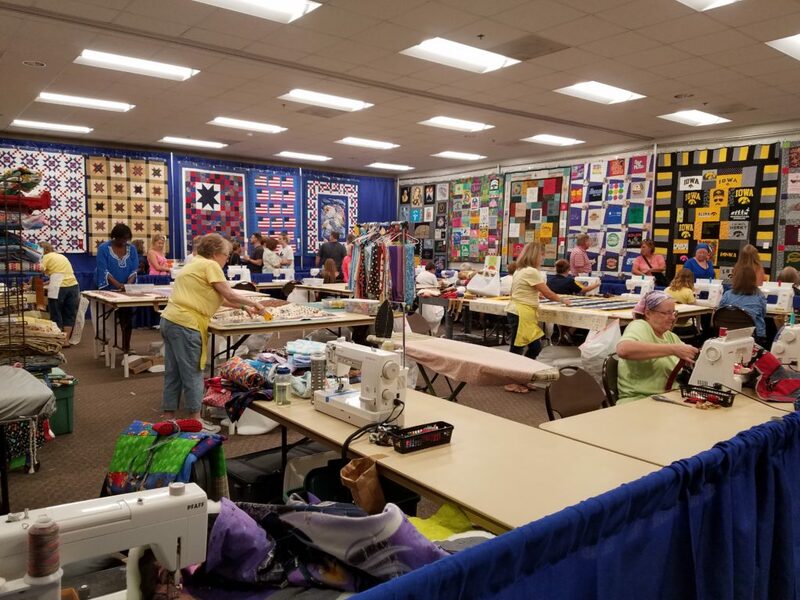 In my previous blog I showed you some of the Best of Show quilts located in the Varied Industries building. 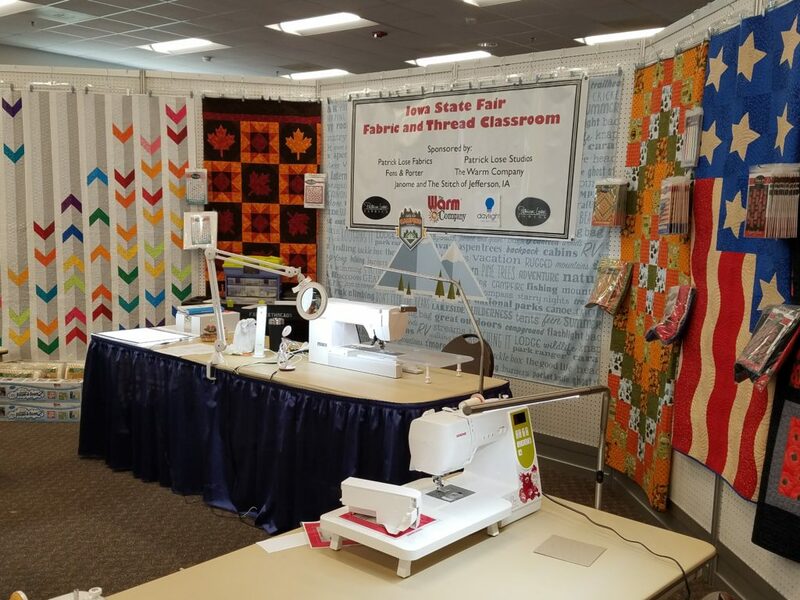 Well, just down the hall from those quilts is the room for the State Fair Sew-In. 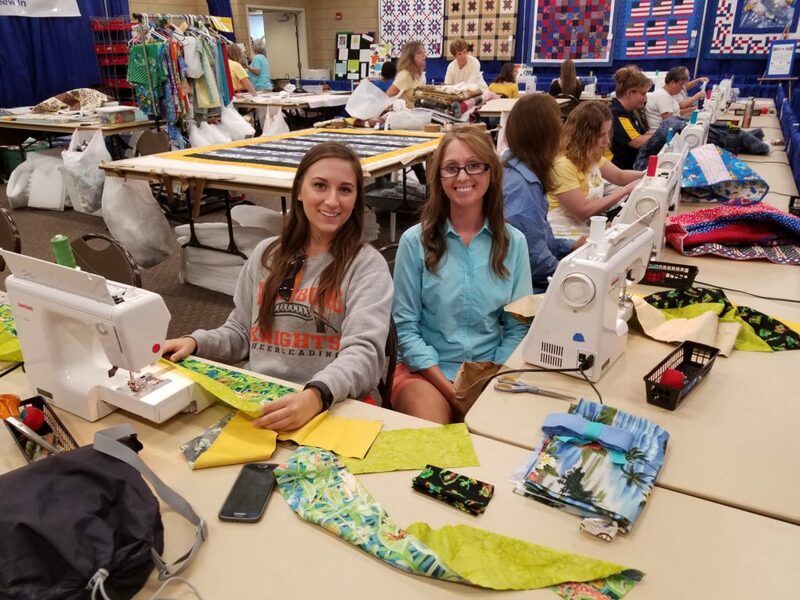 In it’s ninth year, the Sew-In project is not new, but the creations volunteers will be crafting out of donated scraps of fabric will be completely original. 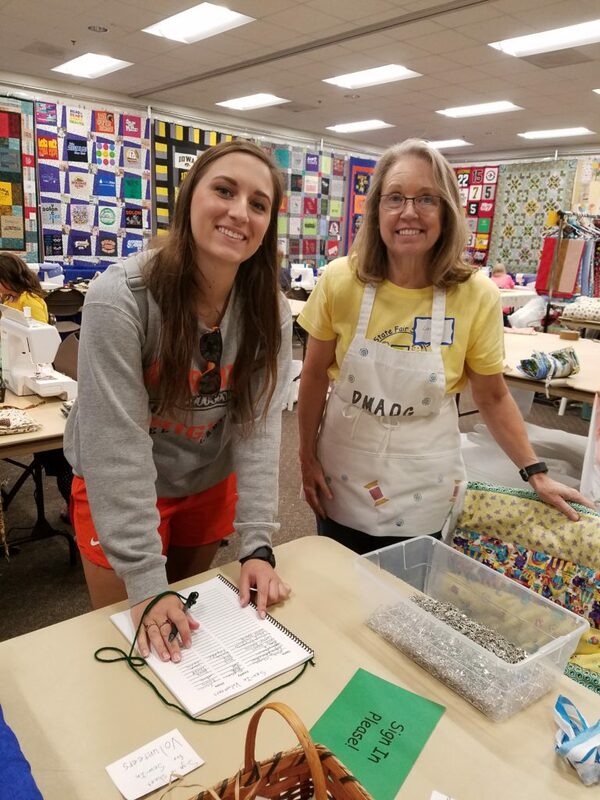 Last year, the Des Moines Area Quilt Guild and trusted fair volunteers finished 437 quilts; since 2009 when the project began, 1,933 blankets have been quilted for Iowa youth. 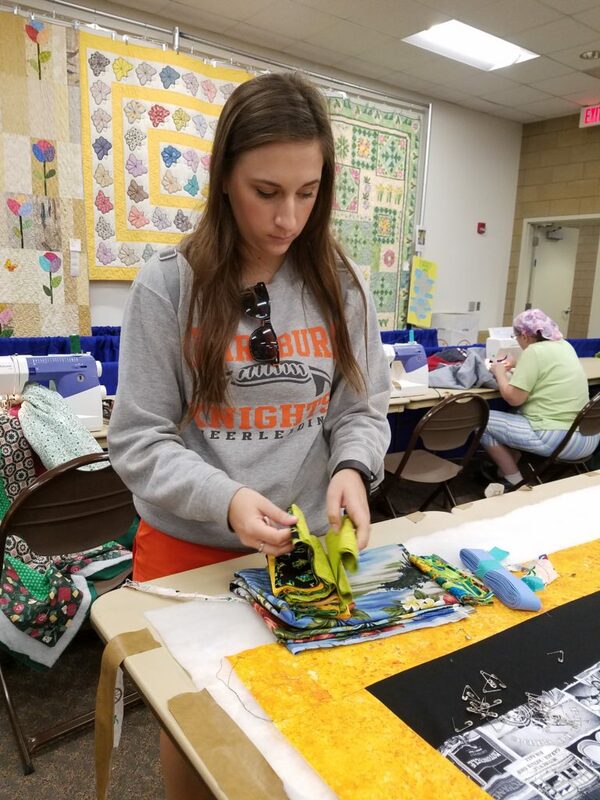 You don’t have to be a sewing expert to try quilting, and the public is welcome to visit the south hallway in the William C. Knapp Varied Industries Building to be a part of the collective effort. 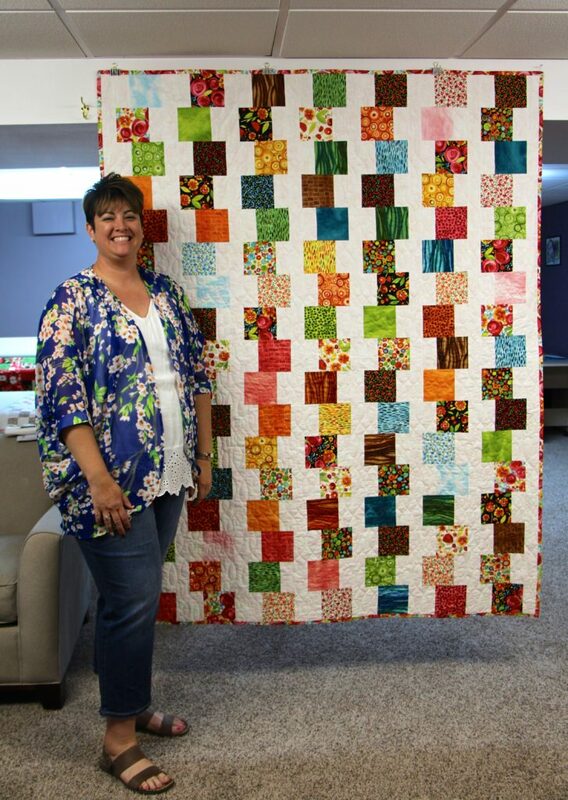 Finished quilts are given to kids at agencies such as Child Serve, Angel Tree Camps, Children’s Behavioral Health Unit at Iowa Lutheran Hospital, and Lutheran Social Services of Iowa. Here is a short video clip about the sew-in from IPTV.It features the founder of the sew-in, Sharon Meisenheimer who was there sewing when we were! It is a good sized room with about 20 machines. Noelle and I were just passing through and we came to the end where a volunteer asked us if we wanted to help? Our family was at the fair just 2 days so we had limited time to see and do everything we wanted to. We asked if there was a time commitment and she replied that any amount of time would be great, so we decided we could probably get a quilt top done between the two of us. First on the list is to sign in. Next you choose your quilt top, which can be from pre-cut strips you choose yourself, or a kit you select. We chose a kit with frogs on the print fabrics and greens and yellows for the solids. The kit contains twelve, five inch wide strips that you sew together, the backing and the binding. It was all nicely organized and the gal that helped us gave clear directions. Another gal, instructed us briefly on the machines, since we sew on a Bernia and these were all basic Janomes. After using them we appreciated our, needle down setting and the knee lift presser foot attachment on our Bernia at home! There is a constant stream of fairgoers passing by, we asked one of them to take our photo! 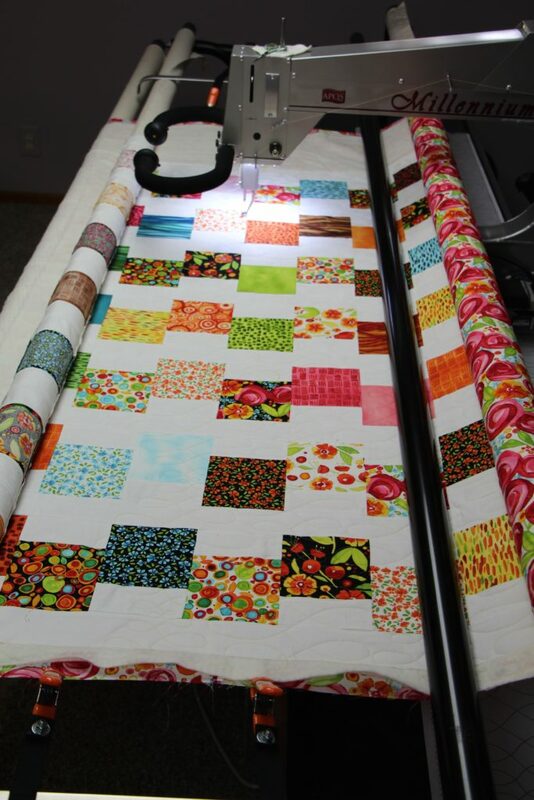 Besides sewing the strips together, you also can pin the top, batting and backs together, machine quilt the tops with straight line quilting or attach the binding, you choose. The completed quilt measure about 40 x 54, we timed ourselves and were done with this in 14 minutes. I am happy we did this during our day at the fair. 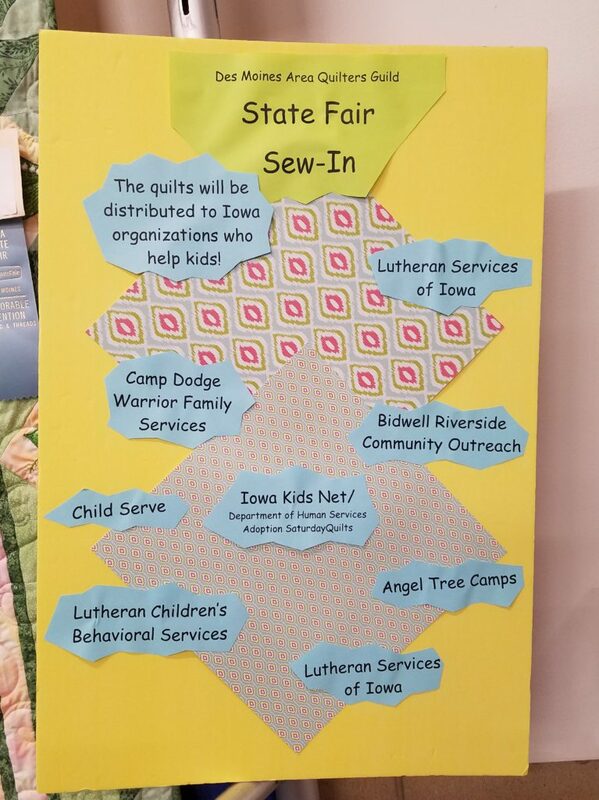 We laughed and said, “Like, we don’t do enough sewing at home, we come to the fair and sew too!” The State Fair Sew-In appreciates any donations of fabric, here is a link with that information.Volunteers and donations.Let us know if you have been involved in this project, or other projects like this one. I am really glad we stopped to sew, now we know what it is about, and really, who doesn’t have 14 minutes to sew! This entry was posted in Uncategorized on August 21, 2017 by Carla. 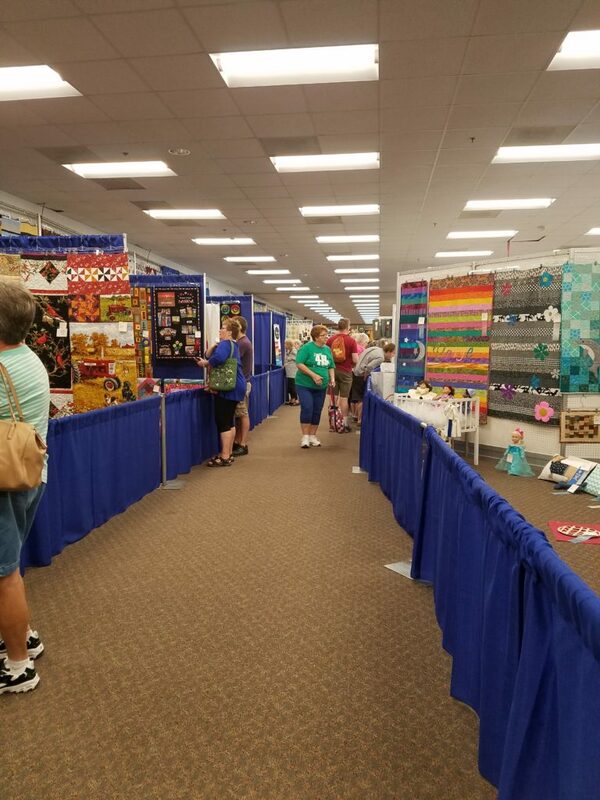 In my last blog I did show and tell about some of the quilts, clothing and handiwork in the Varied Industries building at the Iowa State Fair. 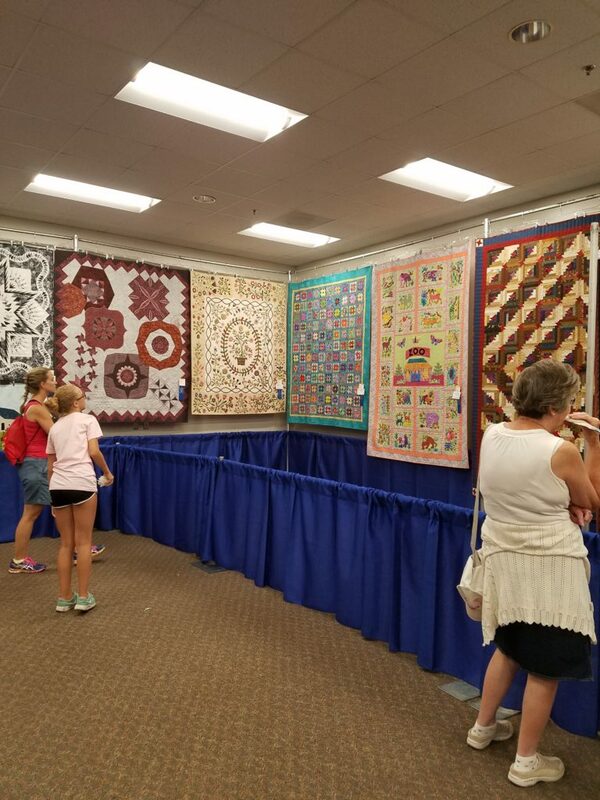 Here is a sampling of the best of show quilts displayed in separate room on the first floor. 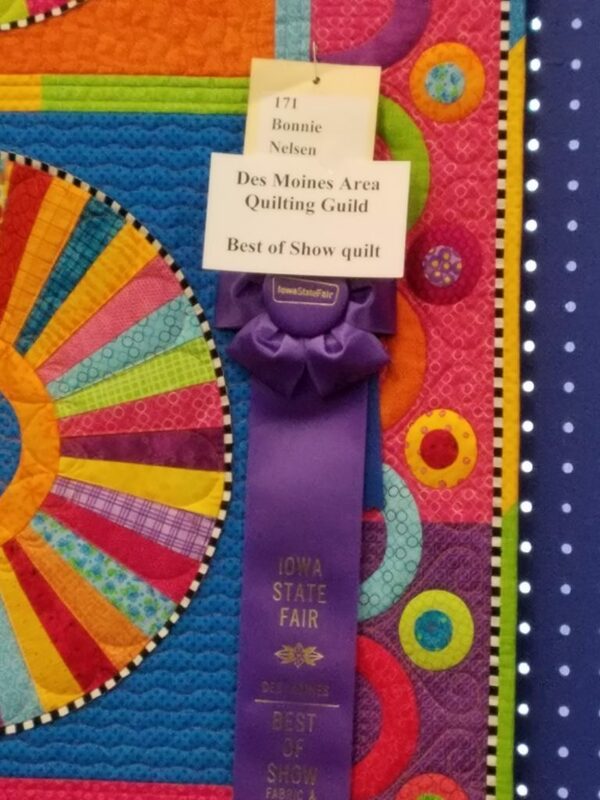 I would estimate there are about 30 quilts, all receiving the highest honor in their category. There really are no words for the quilts and the quilting on them. 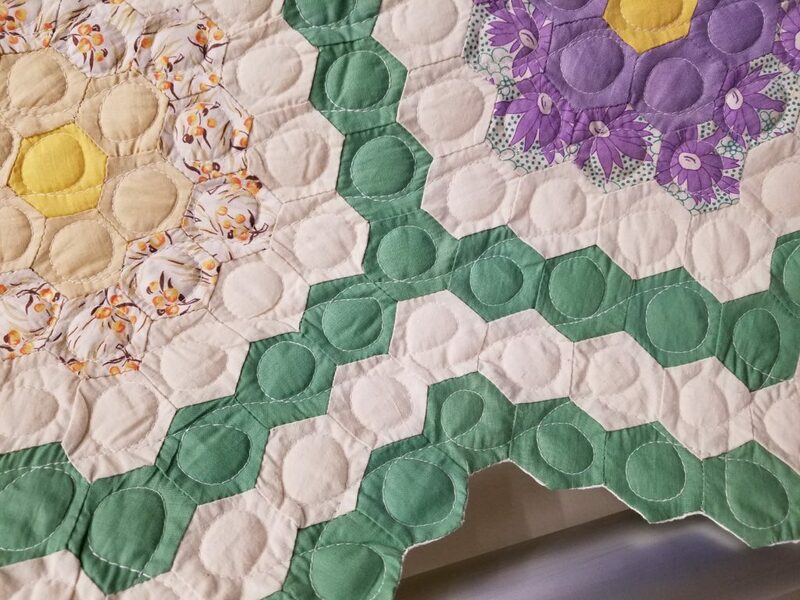 I am unable to truly show you the beauty of these quilts through photos, to see them up close and in person takes your breath away. This is a small section of one of my favorites, can you believe how beautiful it is? Where does one start to design something like this, and then onto the machine quilting design, they must have a plan to start with and then it grows into something so beautiful. 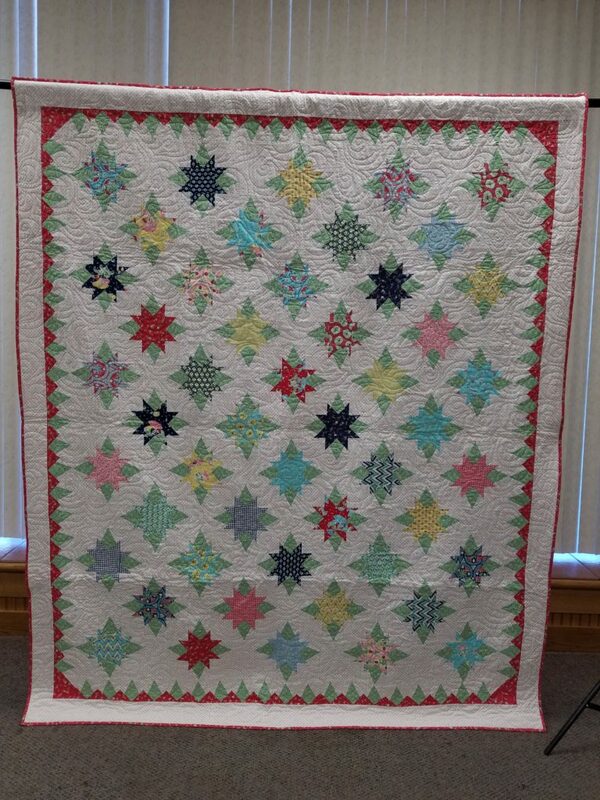 Here is the full quilt. And, here is another detailed section of it. 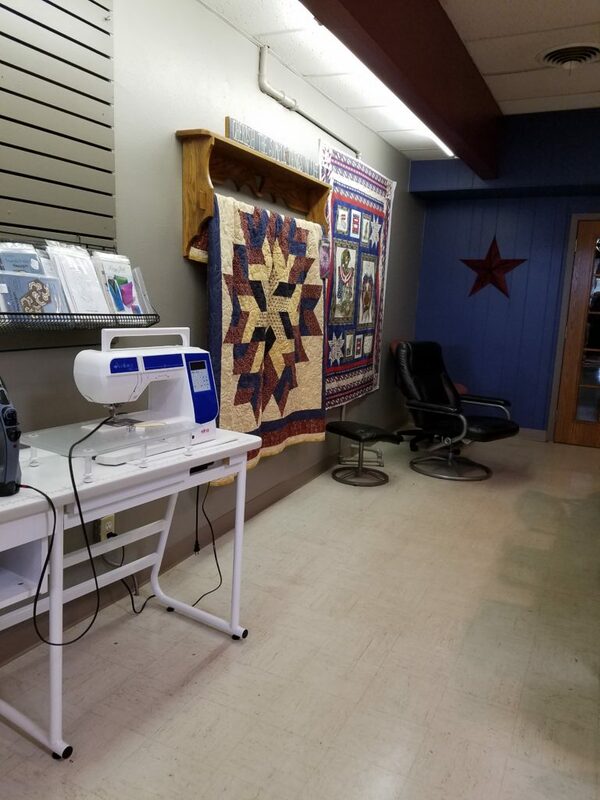 In these photos, I hope you can get a sense of how the room is laid out and how the quilts are displayed, similar to the quilts upstairs. This was another one of my favorites. Maybe it is because I like the colors of nature, or because I feel each block is interconnected. The quilt has a feeling of unity and a sense of calm when you look at it. I feel as if I am in a museum when I am here. I like to look at the quilts from a distance and then look up close and then really close if I can. What I can’t do is touch them, and I would like to because I feel there is something about using your sense of touch to connect, appreciate and remember. This entry was posted in Uncategorized on August 19, 2017 by Carla. 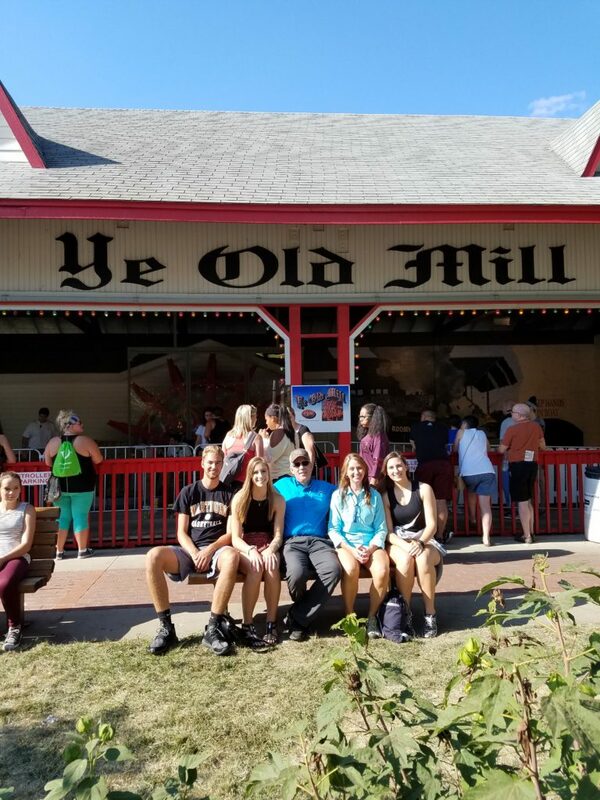 The great Iowa State Fair is going on now and we were able to go for a few days, here we are in front of Ye Old Mill. Gene Anne and her boyfriend, Spencer, Todd and I and Noelle. This is our 12th year in a row of attending. The Ye Old Mill boat ride is the oldest ride on the fairgrounds, constructed in 1921, it is a 1,500-foot-long enclosed water canal, powered by a paddle wheel. Our family usually goes on it and then we take a photo in front of it every year. 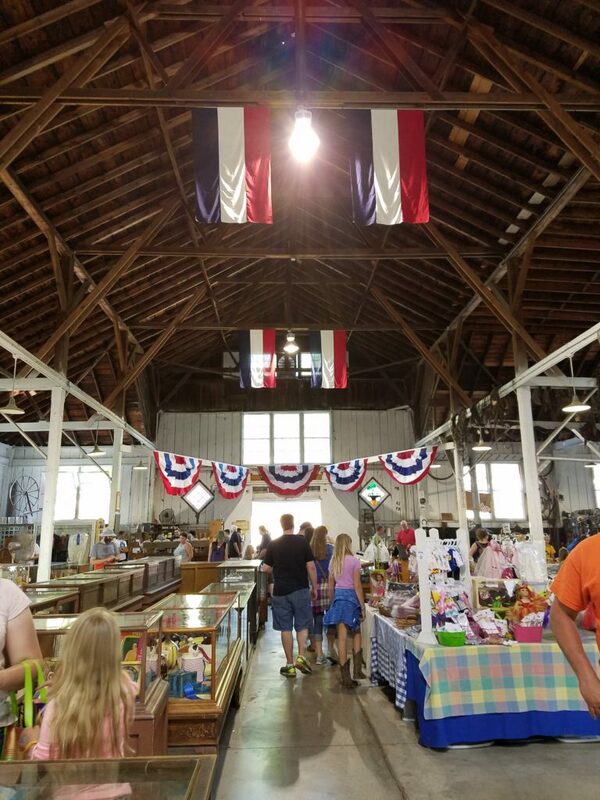 Our state fair is frequently ranked as one of the top events in the country, the Iowa State Fair is the single largest event in the state of Iowa and one of the oldest and largest agricultural and industrial expositions in the country. 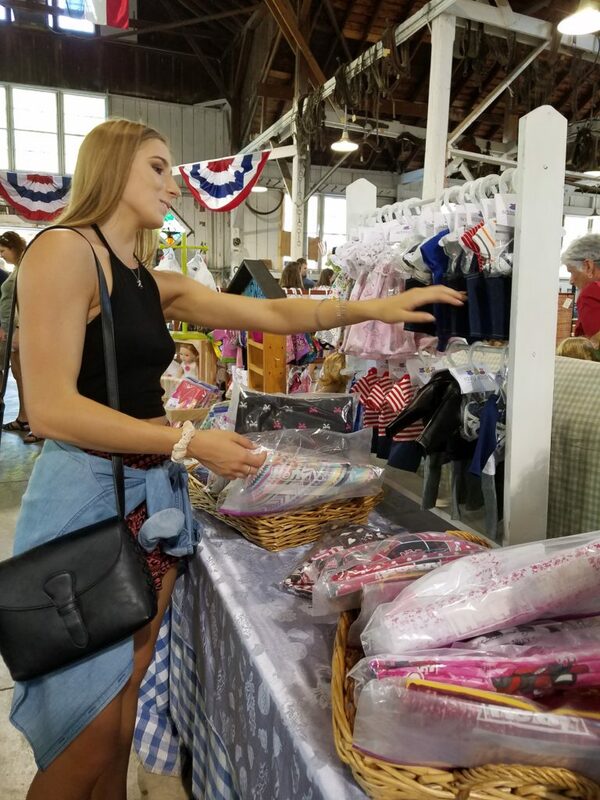 Annually attracting more than a million people from all over the world, the Iowa State Fair located at East 30th and East University, just 10 minutes from downtown Des Moines is Iowa’s greatest celebration with a salute to the best in agriculture, industry, entertainment and achievement. 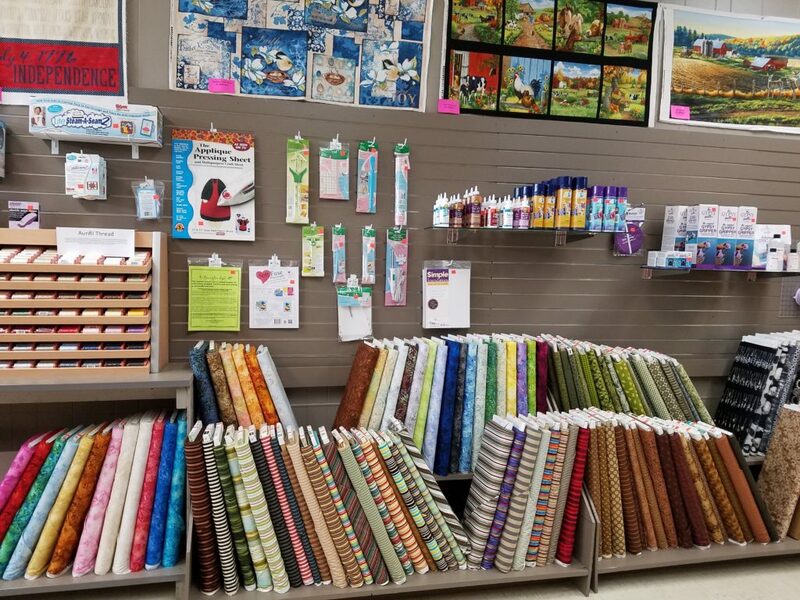 There is an unbelievable amount of things to see and do and today I will tell you about the Fabrics and Threads open class department which can be viewed on the second floor of the William C. Knapp Varied Industries building. Anyone can submit entries following the entry guidelines and completing the forms. The board will then mail you an entry tag, which you as an exhibitor complete and submit with your item. 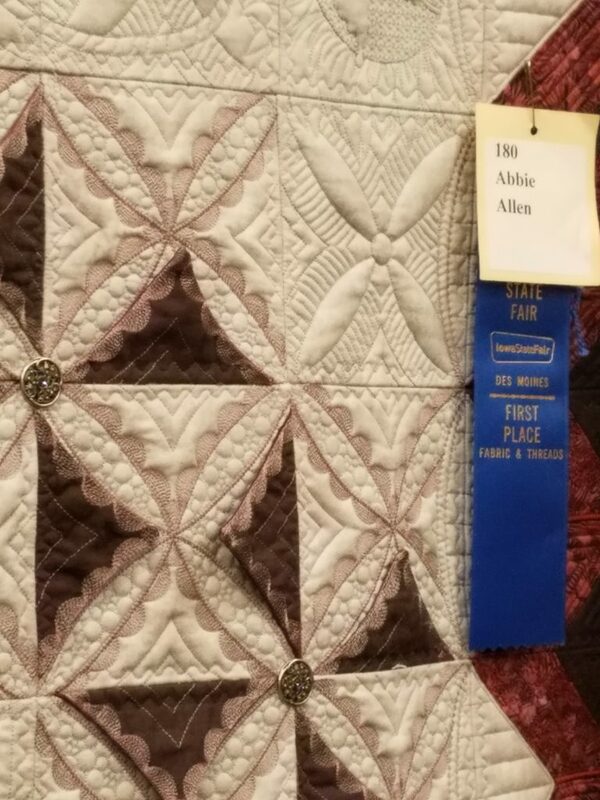 For many years I entered a different quilt each year and one year I received an honorable mention. 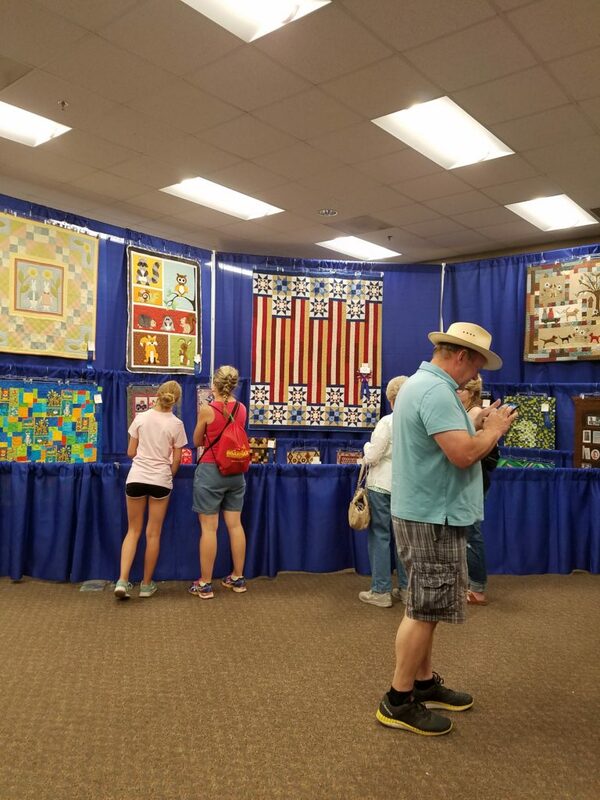 Now you may not think this is a big deal, but it was because most of the quilts exhibited have no ribbons on them. 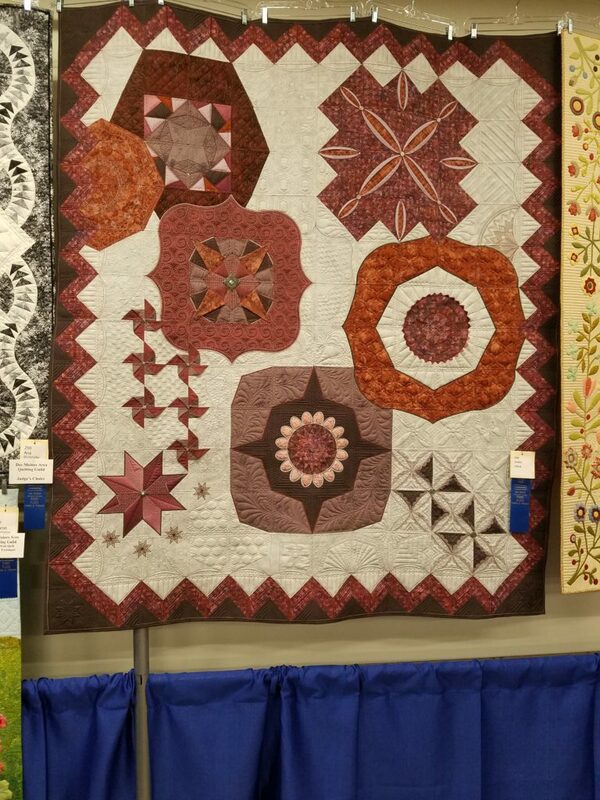 I don’t know the numbers but there are many, many quilts entered each year. Here is a link for this years results. I will do my best to convey to you the size of this area, as you can see from the photo, you can not see the to the end of this room. I was there in the morning when there were less people, as the day goes on the isles will be packed with people. 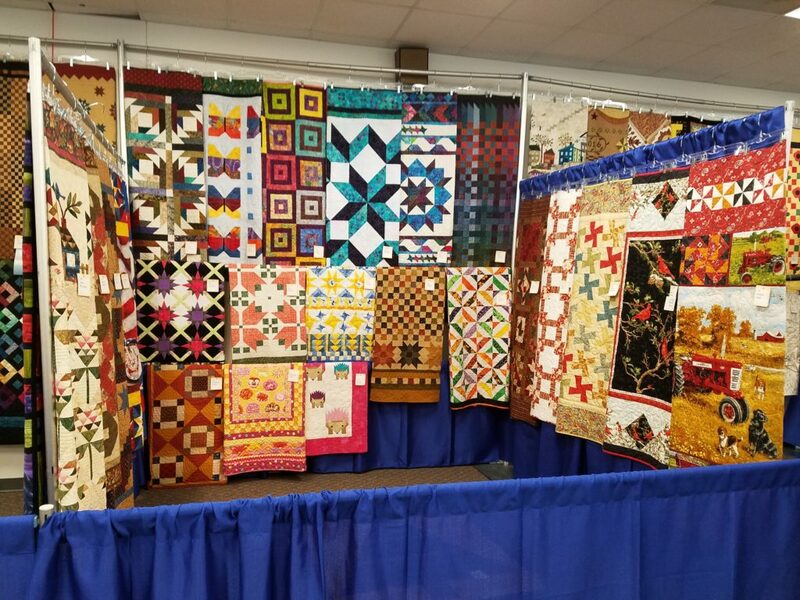 The quilts are displayed in sections like this and you can see about 12 to 18 inches of each quilt due to the number of them and limited room. 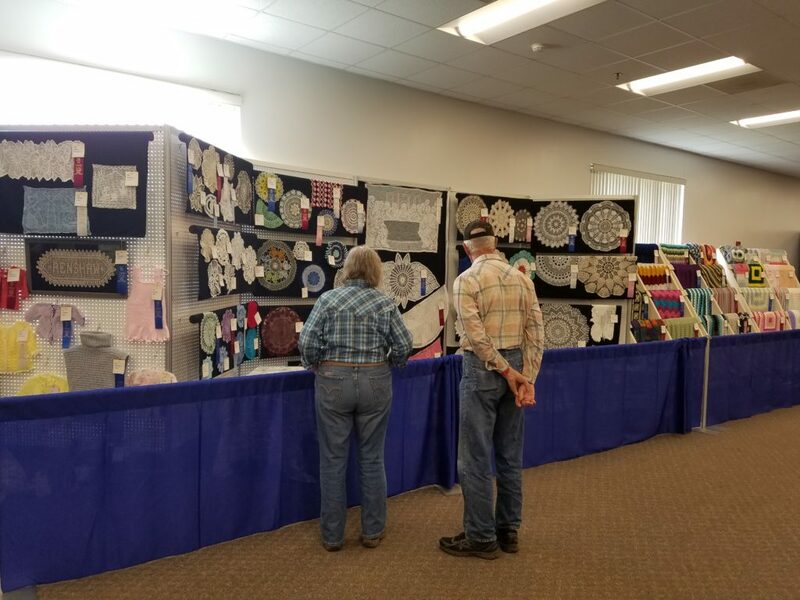 These quilts have all been judged, they are all beautifully designed, pieced and quilted, yet none of them have a ribbon. 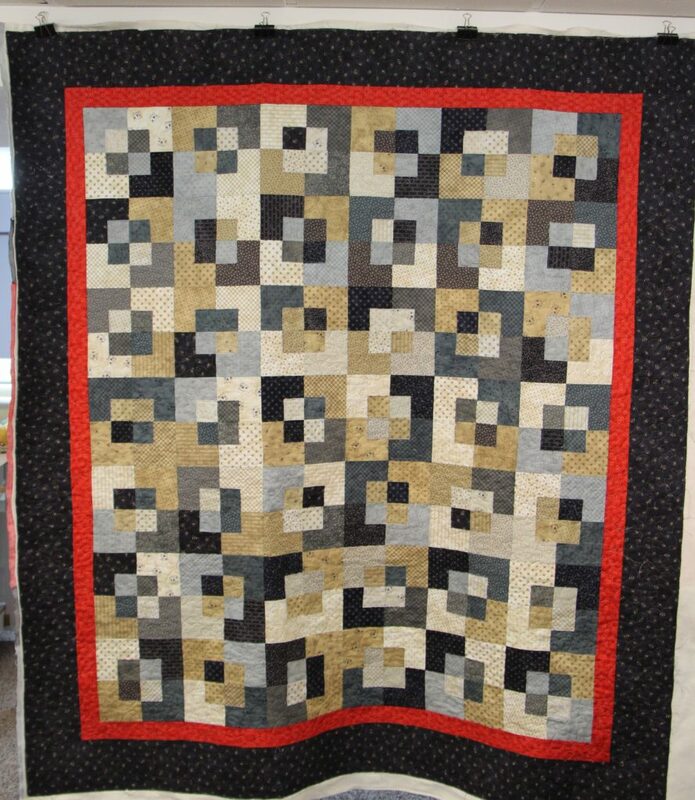 While you are here visiting, you can also sign up for a class that will teach you how to make a quilt block. Along with quilts there are many other entries, such as clothing. 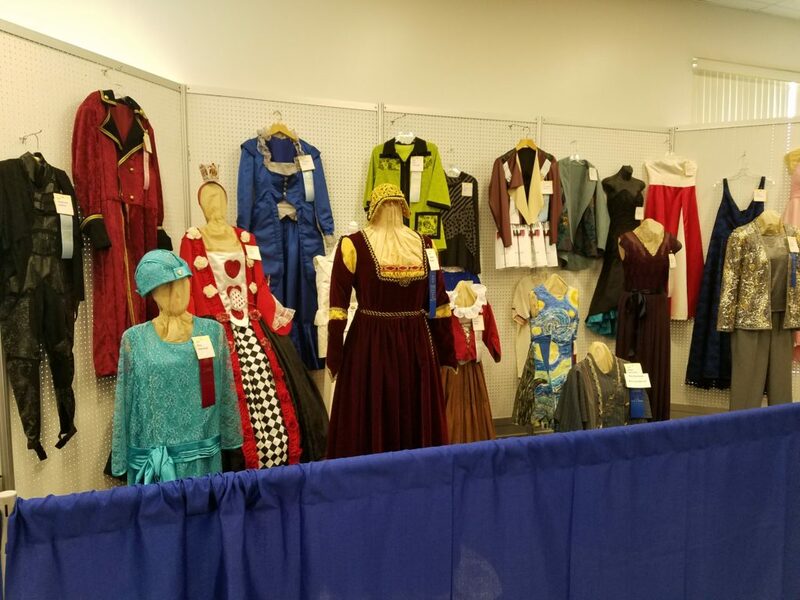 On display were ornate costumes, wedding gowns, business suits and any other imaginable article of clothing. The handiwork of others’ were also on display, tatting, knitting, crocheting, hardanger and many more examples. 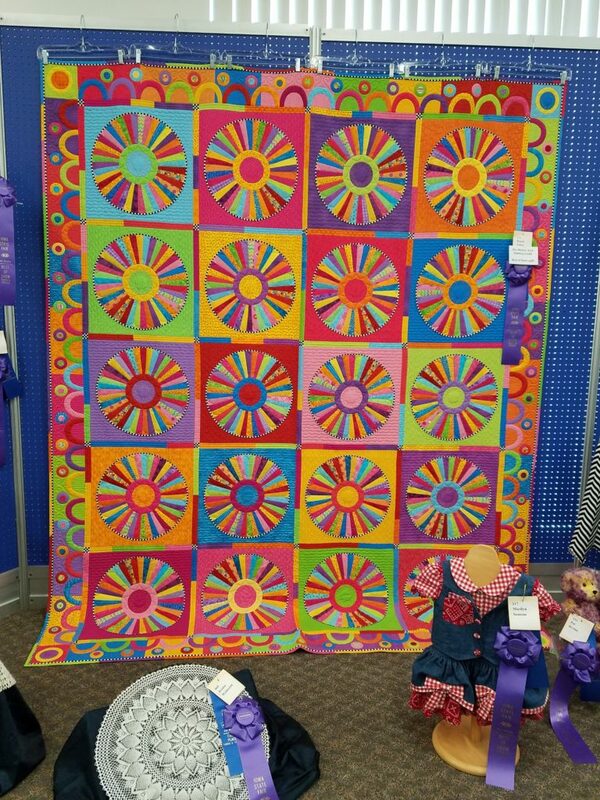 The entries chosen as best of show are displayed front and center and here is the quilt awarded that title this year. It is a bright and whimsical one! 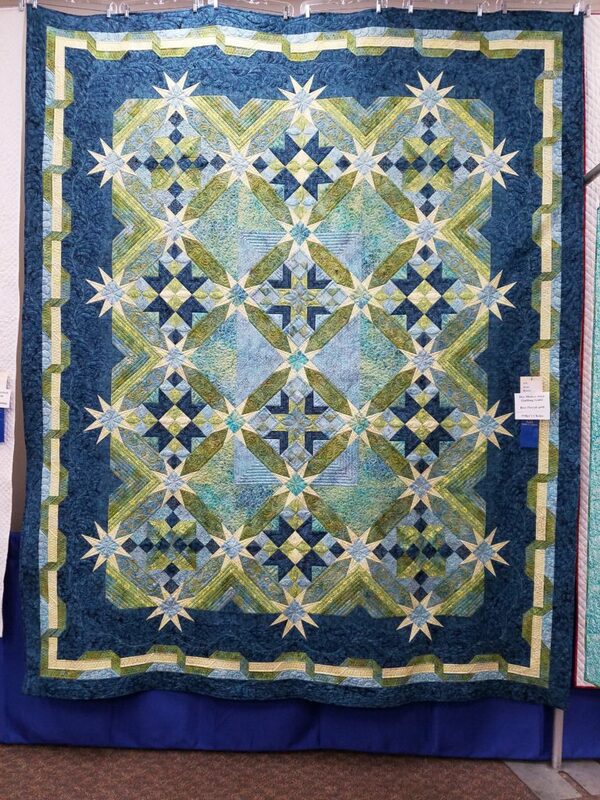 Usually we see a very traditional type of quilt as best of show, I was surprised. 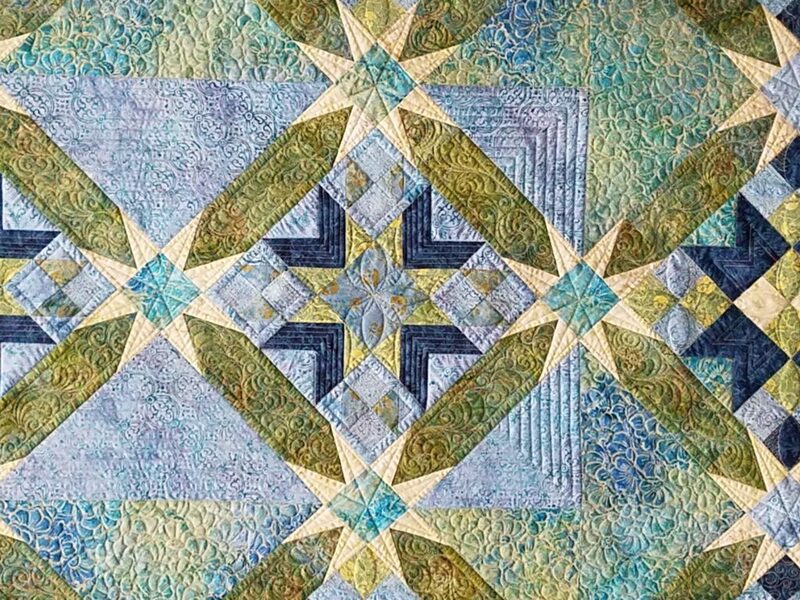 It is beautifully designed, pieced and quilted. I hope you have enjoyed my little tour of some of the entries in the Fabrics and Threads department. 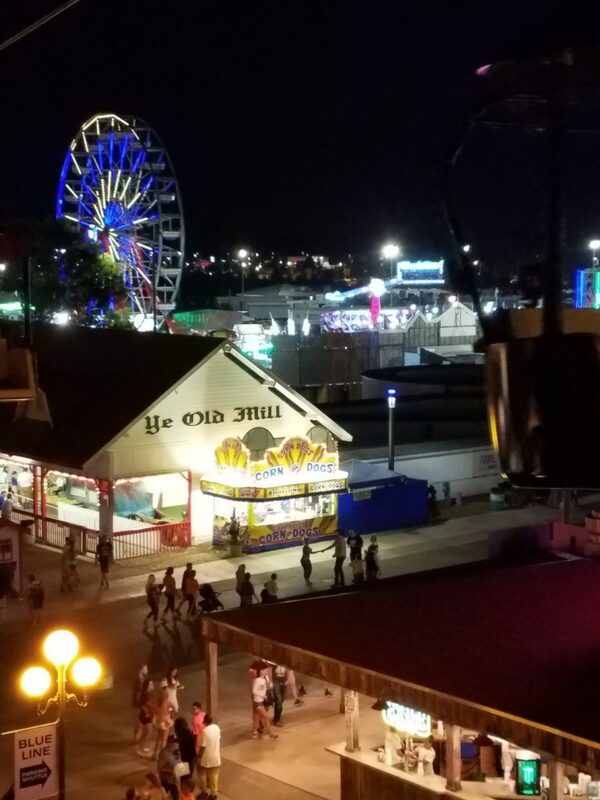 In closing here is a photo from my sky glider ride overlooking the fair grounds. This entry was posted in Uncategorized on August 17, 2017 by Carla. Points of Interest is the quilt we learned how to make on day 1 of our retreat, here is a photo of the quilt from the retreat. 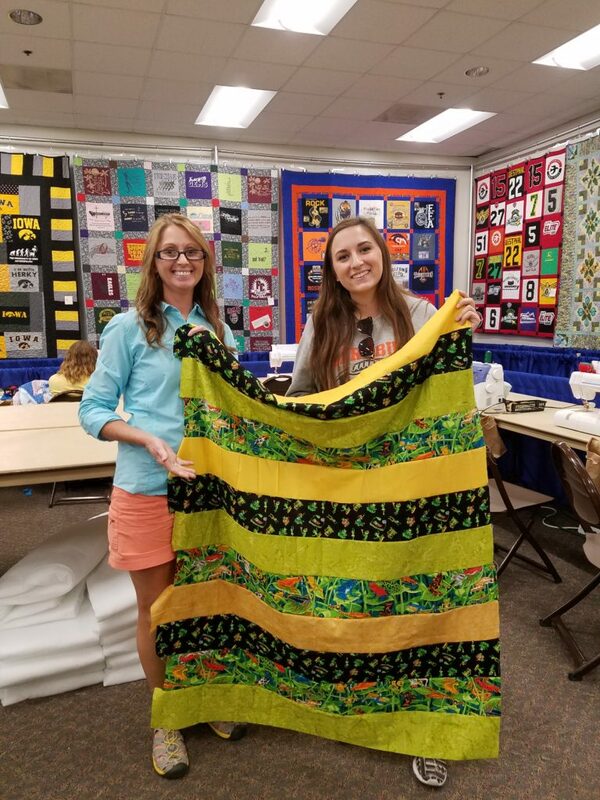 The class was taught by Jo Kramer and Kelli Jo Hanken who also designed the quilt and organized our Bonnie Hunter retreat. 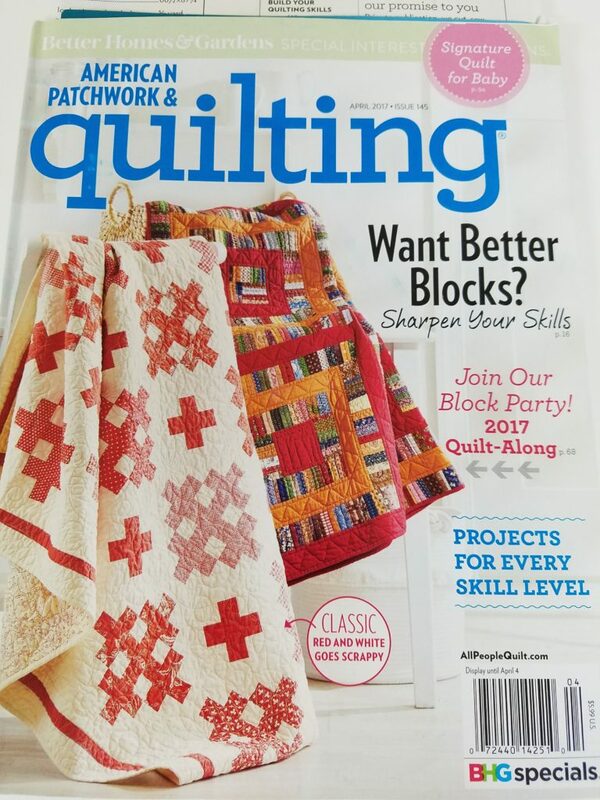 The quilt was originally selected by and published in American Patchwork and quilting’s April 2017 magazine. Prior to the retreat attendees were given cutting instructions, so as to cut our fabric for the quilt prior to class. 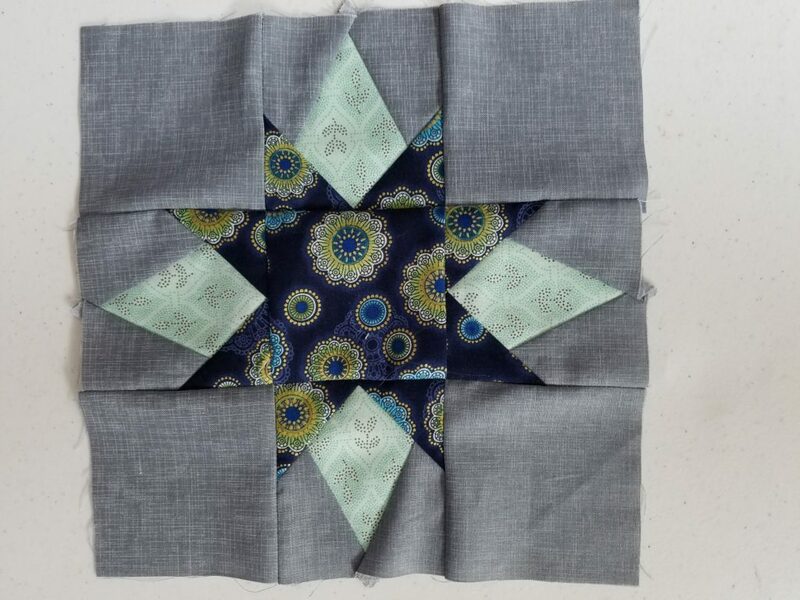 There were no guidelines for fabric, we could make the quilt “scrappy” using an assortment of fabrics or you could use coordinating fabrics and this is what I did. 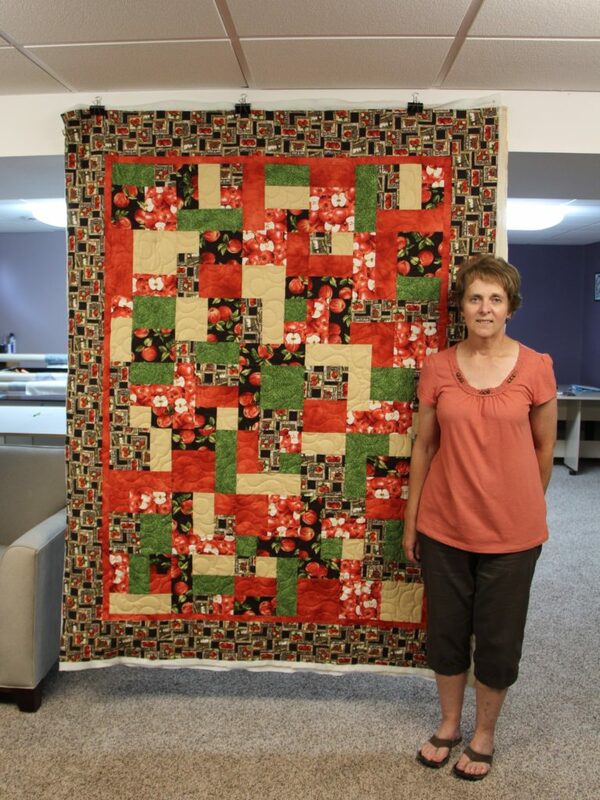 Our daughter, Gene Anne helped me choose the fabric for this quilt from Quilter’s Window in New Hampton, Iowa. I was looking for colors in the neutral family and looking for colors that I had not used in the past. Here you can see how the print fabrics will be emphasized by the grey background. At first I was unsure about exactly how to follow the cutting instructions, but after a few questions were answered by Jo and Kelli on Facebook, it became clear and easy! 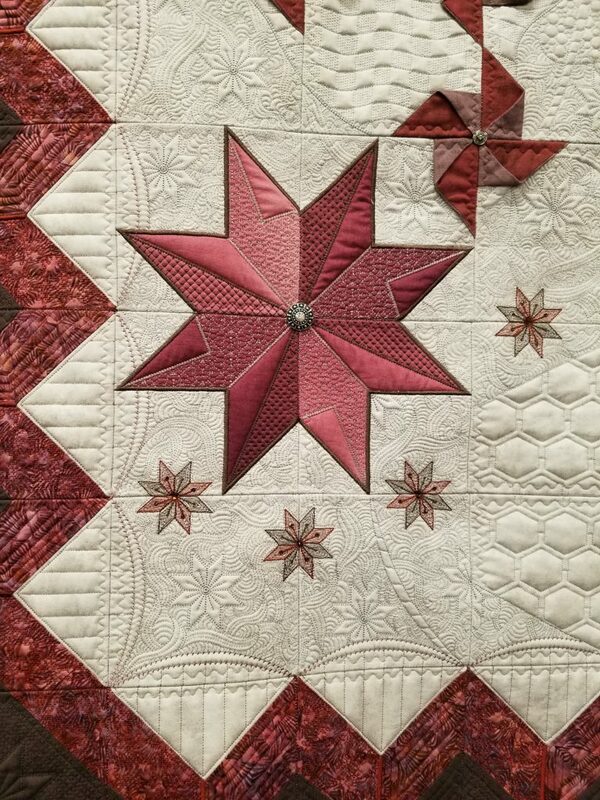 To make the star points we used the Tri-Rec Triangle rulers by Darlene Zimmerman. 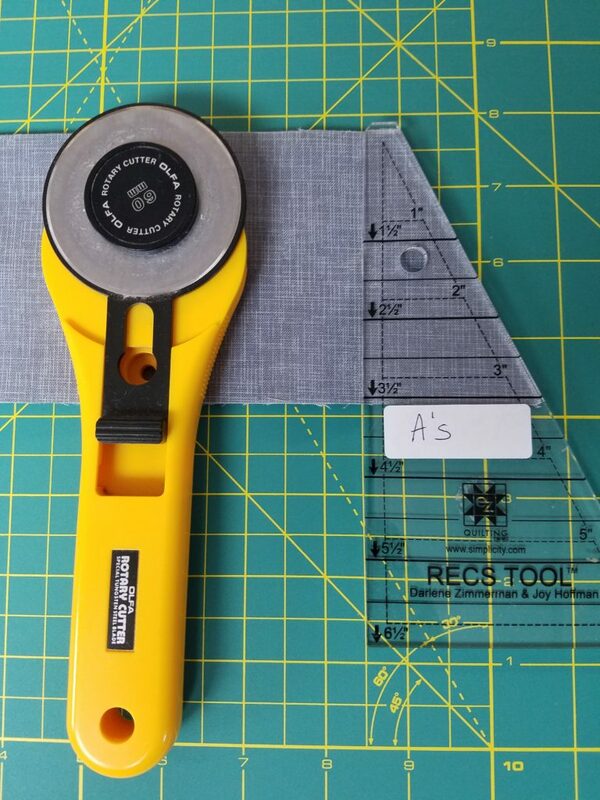 I purchased these and have worked with rulers similar to these in the past. These notions make your cutting accurate and are time saving. There is an A and a B template, here you can see the grey was cut from the A’s and the green fabric was cut from the B’s. 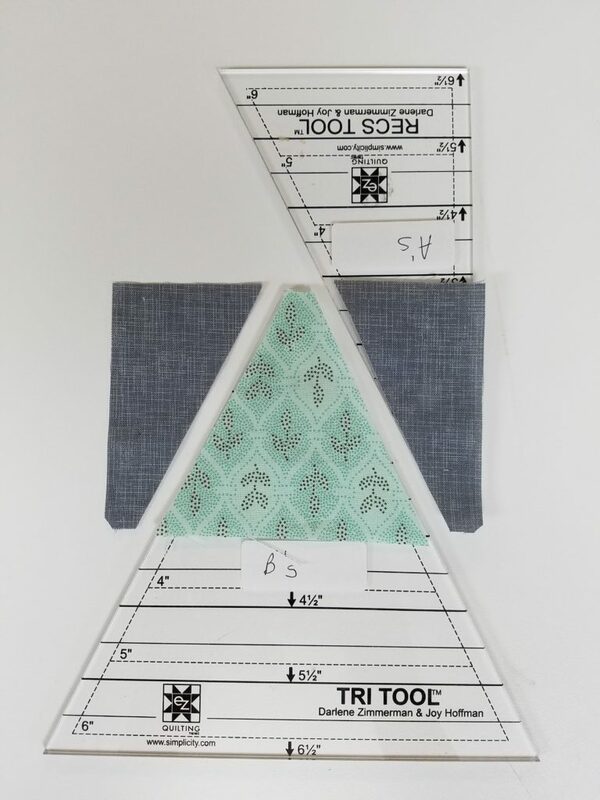 This photo shows how the fabric is cut into 3 1/2 inch strips, 4 layers at a time, ruler is placed on top and then the edge is cut to give you a rectangular shaped piece. The pattern calls for 284 of these and 284 of these reversed. That is a lot of triangles! In this photo you can see my B triangles, I only needed 284 of these. With the cutting complete, the pieces were packed up for the retreat. At the retreat, Jo and Kelli showed us the step by step process of how to sew these pieces together. 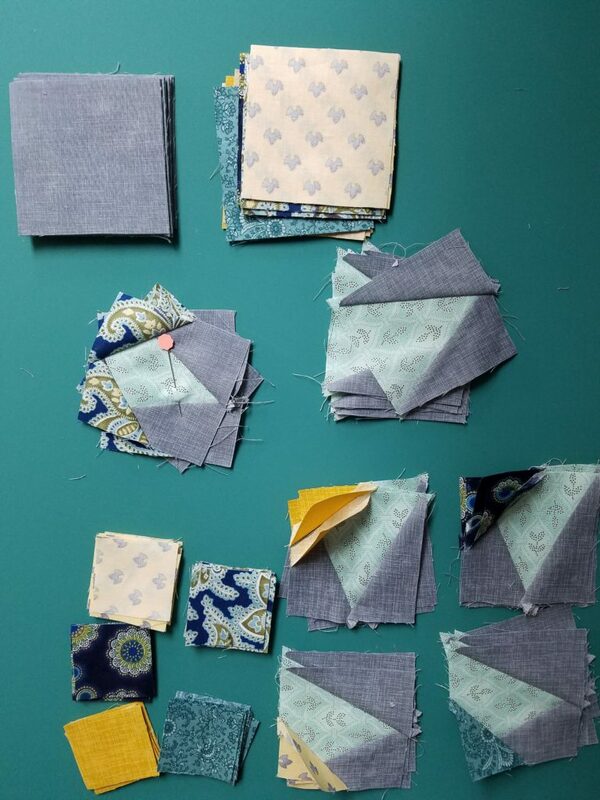 Here is an example of my completed pieces before they are sewn together to form a block. I am happy with my color selection. And here is a photo of a completed block! 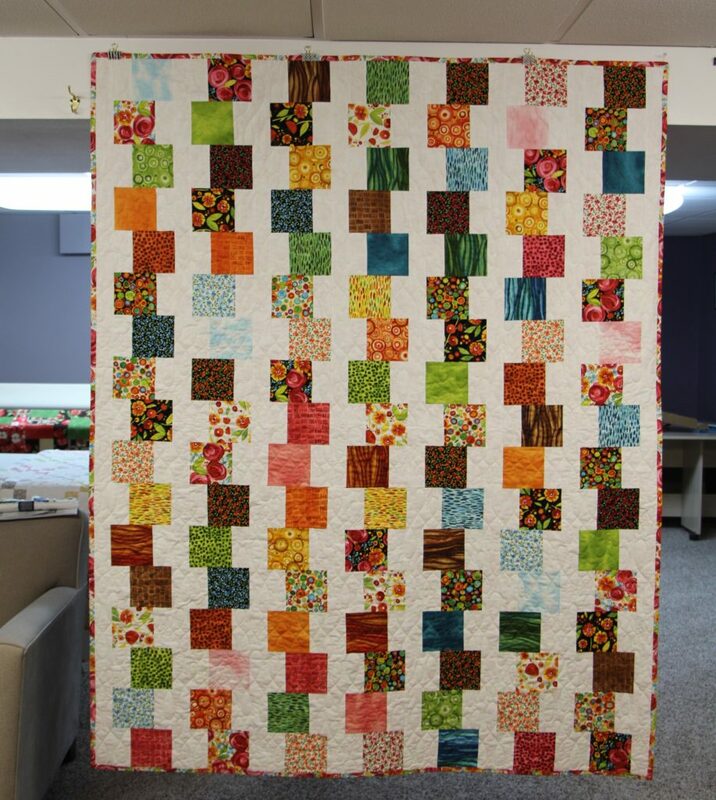 Typically with quilts, you make all the blocks and then sew them together, but wait! This is why it is important to follow the instructions. Look what they show. See how some are blocks and some are partial blocks. 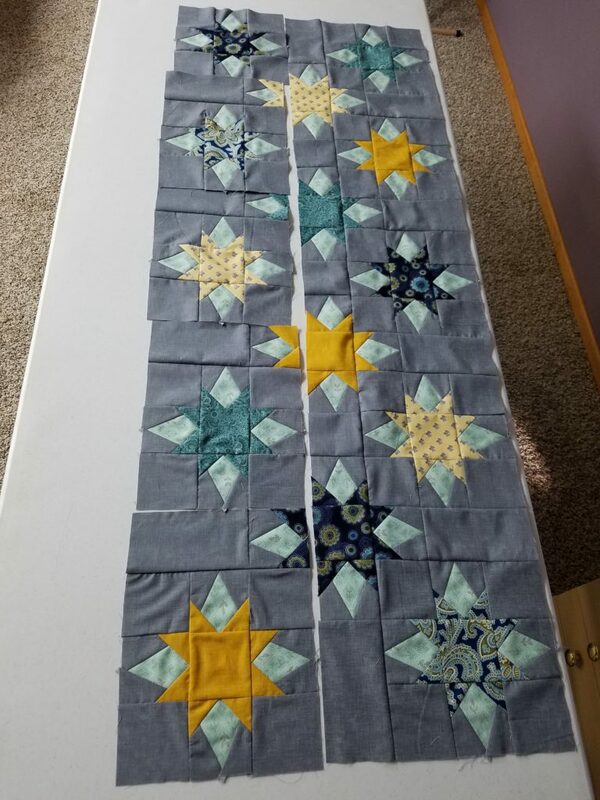 Here is an example of my layout before sewing some of the blocks together. In my retreat blog post I was planning on sewing 30 minutes a day, well that happened on some days, but not all. Here is my progress so far. It may not look like much, but I am very pleased with how it is coming along and I am excited to see how it looks when it is all done! 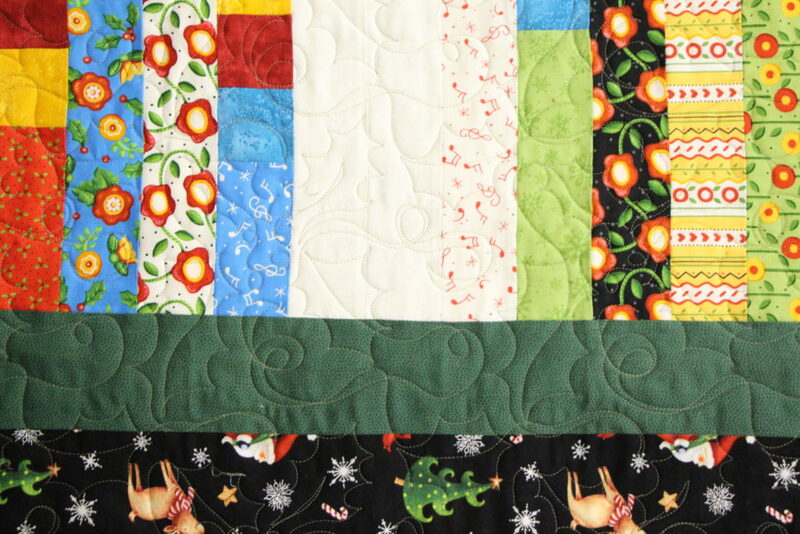 To my other retreat attendees, how are your Points of Interest quilts doing, let us know! This entry was posted in Uncategorized on August 13, 2017 by Carla. 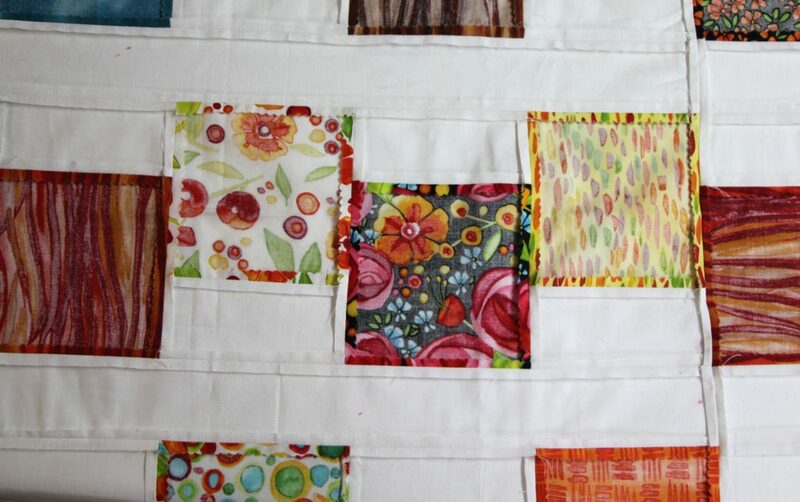 Here is a photo of the back of her quilt top as all of her tops come to me with the seams pressed open. If I remember correctly, she prefers to do it this way because the top lays flatter rather than all seams pressed one way and this is the way she has always done it. It must be working for her, because she does a beautiful job of matching up her seams! 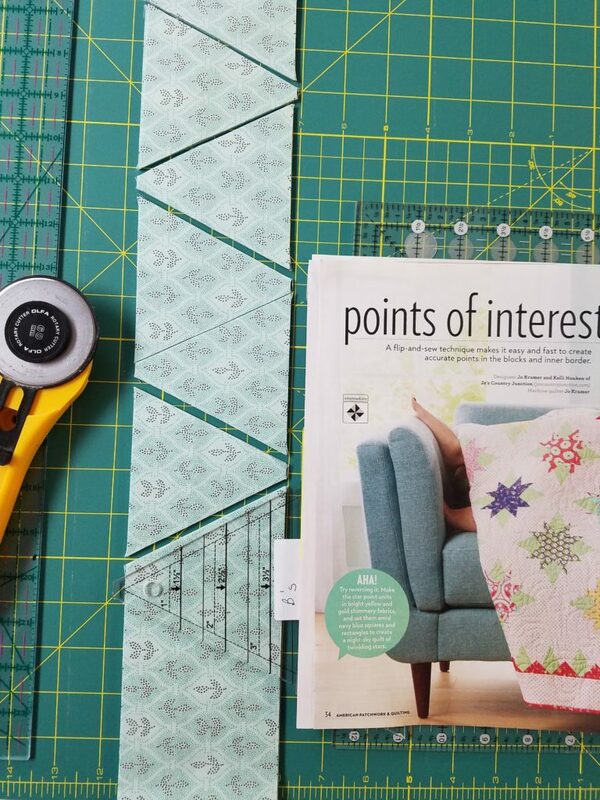 When I asked her about a quilting pattern, she said, “I didn’t come with a specific pantograph or thread color in mind, just like with my Tula Pink quilt, we went off the grid and decided to use a simple pantograph with a colored thread. 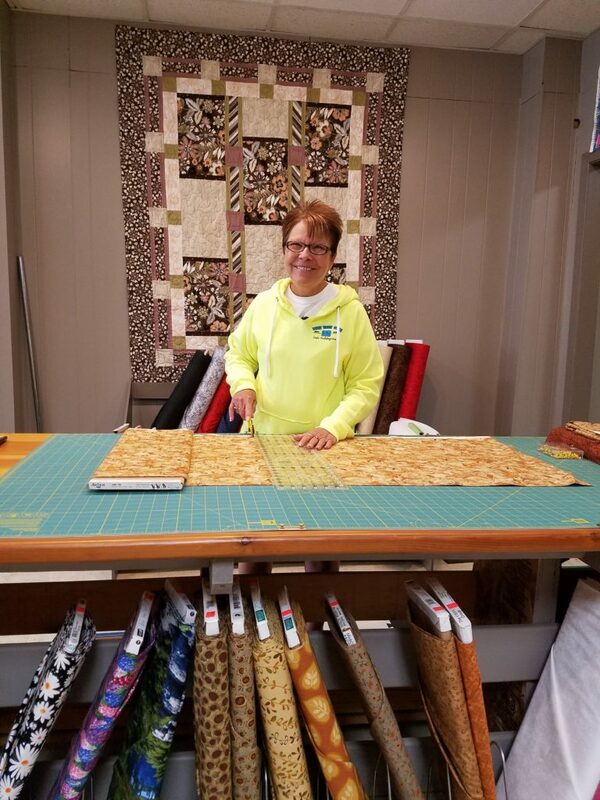 I love how this longarm design offsets the whimsical bright fabric” When working with Melissa we laid out several colors of thread, the obvious choice for most customers would be a white, but she picked yellow and doesn’t it look lovely! 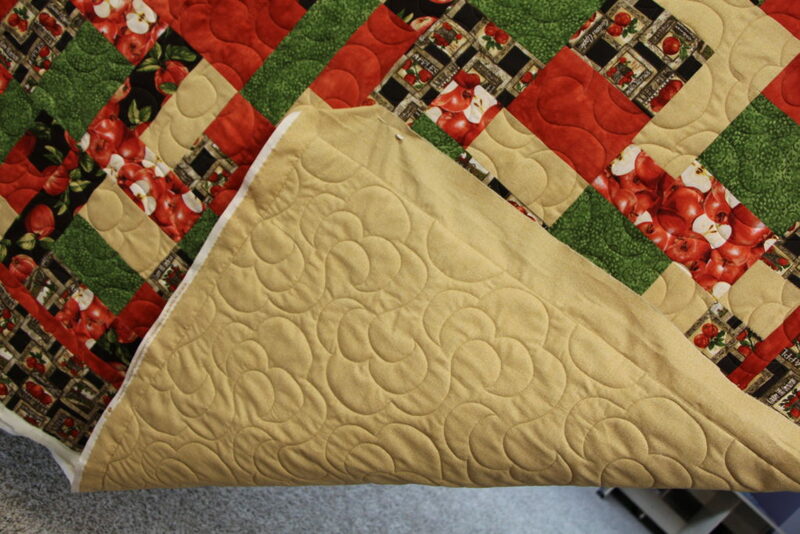 The pantograph is Figure 8 and I quilted it in a vertical design. 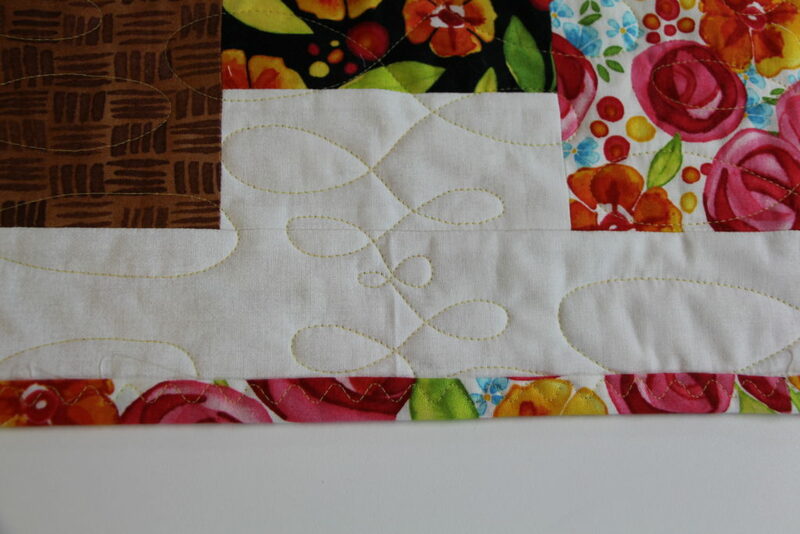 The design and thread she choose, ties the quilt together very nicely. If you remember from other posts, Melissa is a busy Mother and a farm wife, so she usually asks me to bind her quilts by machine for her. I am happy to do this, so when she picks this one up, it is ready to be given to her sister-in-law as a house warming gift. Let me know what you think about using a colored thread for quilting on white fabric? 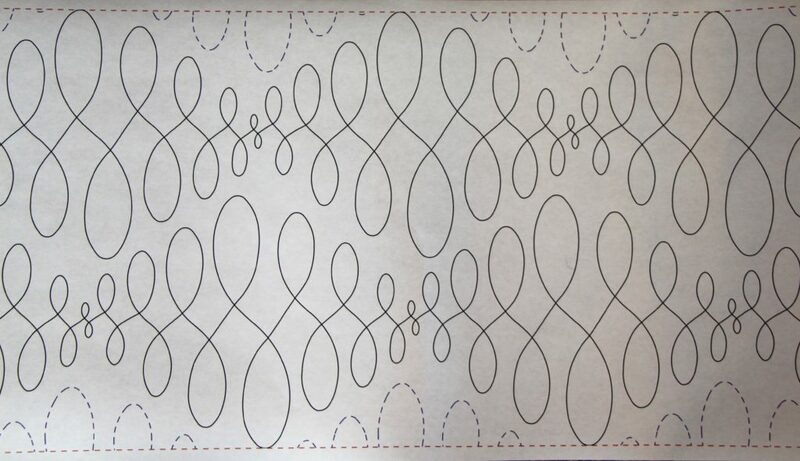 Also, what suggestions would you give Melissa for writing her own quilt patterns? Let’s help her out and make it as easy for her as possible and then we can make quilt like hers! This entry was posted in Uncategorized on August 12, 2017 by Carla.